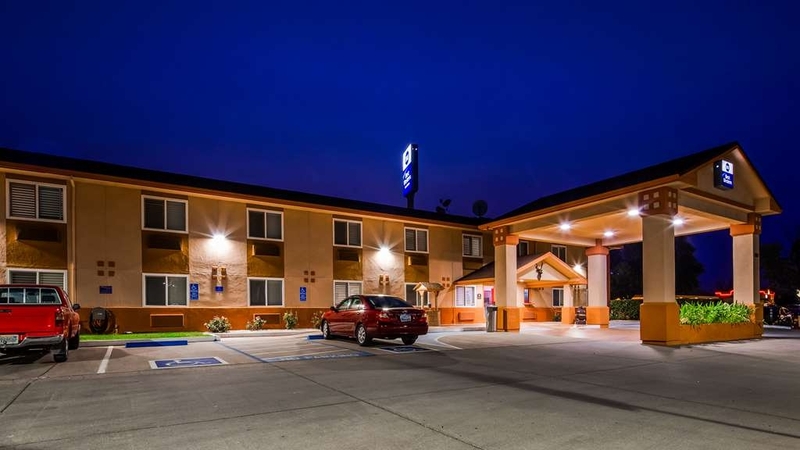 Il Best Western Antelope Inn & Suites è situato nel centro di Red Bluff. L'hotel è vicino alle principali attrazioni turistiche. Approfittate tutto l'anno del miglior prezzo garantito e di offerte esclusive. Scoprirai che la California non è tutta lustrini e moda, soggiornando in questo hotel di Red Bluff, che offre infinte opportunitè di praticare attività all'aria aperta in mezzo alla natura, respirando aria pura. Il nostro accogliente hotel di Red Bluff ospita spesso viaggiatori d'affari. Chi si trova in città per visitare il Department of Interior, il California Fire Department, il Department of Fish and Game e il centro di distribuzione Walmart® potrà approfittare di numerose attrazioni e vivere emozionanti avventure. Dopo una dura giornata di lavoro hai tutto il diritto di rilassarti e riposarti. La maggior parte degli ospiti di questo hotel di Red Bluff soggiornano da noi per divertirsi. La pesca e la nautica da diporto sono passatempi molto popolari nella zona. Concedersi una partita a golf è un ottimo modo per rilassarsi durante una vacanza perfetta. Cerchi qualcosa di interessante da fare? Nei dintorni dell'hotel potrai anche giocare d'azzardo. Potrai spendere la tua vincita per passare un'altra giornata in piscina o nel nostro club. La piscina all'aperto e il laghetto per pesci rossi sono perfetti per praticare attività in acqua. Le sistemazioni tranquille di questo hotel di Red Bluff sono il luogo ideale in cui rilassarsi dopo una giornata ricca di avventure. La nostra voliera è un ottimo luogo in cui godere di un po' di pace e tranquillità. La nostra struttura ha vinto il Director's Award: da noi sarai trattato come un re. Questo hotel, in cui sono ammessi animali domestici, si trova accanto all'Interstate 5 e offre sistemazioni che faranno sentire come a casa tutti i tuoi familiari. La nostra splendida città è ricca di fascino. È il luogo perfetto in cui rilassarsi e respirare un po' di aria pura di montagna. Potrai scoprire il cowboy che c'è in te al rodeo Round-Up o alla vendita di tori e cavalli. Siamo vicini al centro di Red Bluff e alla strada che porta al monte Lassen. Cos'altro puoi desiderare da un hotel di Red Bluff? Che ne dici di una deliziosa colazione gratuita, che comprende uova, waffle caldi, pasticcini, frutta, cereali, yogurt, caffè 100% qualità arabica e succhi di frutta ghiacciati? È così che dovrebbe cominciare ogni giornata. Prenota la tua prossima vacanza al Best Western Antelope Inn & Suites per respirare davvero un po' d'aria fresca! Ti auguriamo un soggiorno gradevole! The room was clean but extremely old. A tiny vanity and sink was butted up to the door frame where you entered the room. There was no towel rack at all there or hand towels or face clothes. They were all in the adjoining room where the tub and toilet are. If someone is in there and you want to wash your hands, etc., there is nothing there to dry your hands. Very very inconvenient. Basically, the only good thing I can say about this hotel is that it is close to I-5 and is quiet. It is expensive for what you get. I enjoyed the at home feeling of the fish pond with the largest koi fish I have ever seen, an aviary but was covered up for the winter and an aquarium. Breakfast was really good with some special touches. The room was larger than other Best Westerns we have stayed at, the koi pond was cool and if you like birds there is an aviary with budgies, that was an interesting find. We would stay there again, if going that way. Friendly staff, The staff was very friendly and I would stay here again. Breakfast was good and room was mostly clean. My only complaint and the reason for losing one star was there was a dirty towel hanging on the back of the door in the bathroom which I can understand if the door is open and the maid might have missed it. Also there was someone parked in the electric vehicle spot where you would normally charge a car and when I asked the front desk to see if they could move the non-electric vehicle or ask the guest because they do collect license plates they informed me it was the general managers who had gone home for the evening. So I was unable to charge my electric vehicle. If I received an apology I would have given this place five stars but I was not reached out to. "Easy stop close to the I5"
The staff at this hotel are outstanding. Front desk was super friendly and helpfu making check-in easy. The woman running the breakfast room in the morning was also excellent. She kept thinks perfectly clean and well supplied. Breakfast had a good selection including scrambled eggs, sausage, waffles, cereal, yogurt and cinnamon buns. As for the hotel itself, the rooms had been updated. 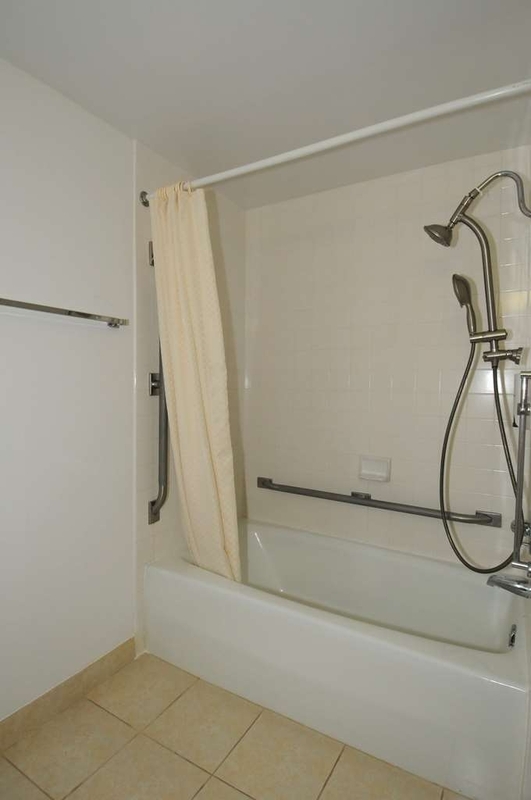 The bathtub and toilet were old school but the counters, floors and tub surround were updated. There was an electrical outlet hub on the bedside table. The room was clean. Unfortunately we found the bed to be very, very firm and the pillows were quite flat. Maybe good for some, but we didn't find them comfortable. When we arrived someone had dropped what appeared to be potato chip crumbs all through the stairwell and upstairs hallway. They were still there in the morning. This hotel is conveniently located to the I5 but still managed to be fairly quiet. There are several fast food restaurants in the immediate area as well as a family style restaurant in the same parking lot. Thank you for taking the time to write this review of our property. We are sorry that our newly expanded breakfast buffet did not meet your standards and that the dining area was not as large as you had thought. We are happy to hear that our staff was friendly and the locations was perfect for you. We do hope to see you again in the future. Happy New Year! Thank you for your kind words about your stay with us. However, your rating confuses me. You gave us only 1 out of 5 possible points. If there was something that we could have done to make your stay better, please do let us know. We do hope to see you again in the future. Thank you so much for taking the time to write this glowing review of our property and thank you for highlighting our staff! Do not know if you are a fire evacuee or just passing through, but we try our best to make the fire evacuees feel at home in a terrible situation. We are so glad that you enjoyed your stay with us and we hope to see you again in the future. Enjoyable stay in Red Bluff. The staff seemed very supportive to evacuees from Camp Fire--we are tourists so based on our observation. Braekfast was enjoyable and we felt that we and our dog were made to feel welcome.Kudos again for caring response to evacuees who appeared in shock. Thank you so much for taking the time to review our property. We are glad to hear that you enjoyed your stay with us. Thank you for highlighting our staff as well. We are all trying to be as supportive and compassionate as possible. We do hope to see you again in the future if you are in our area again. This Best Western was kept up very nice. The rooms were very clean and comfortable. My wife and I would stay again. Very close to shopping and to a RV Park where my wifes sister was staying. We were able to visit her there. 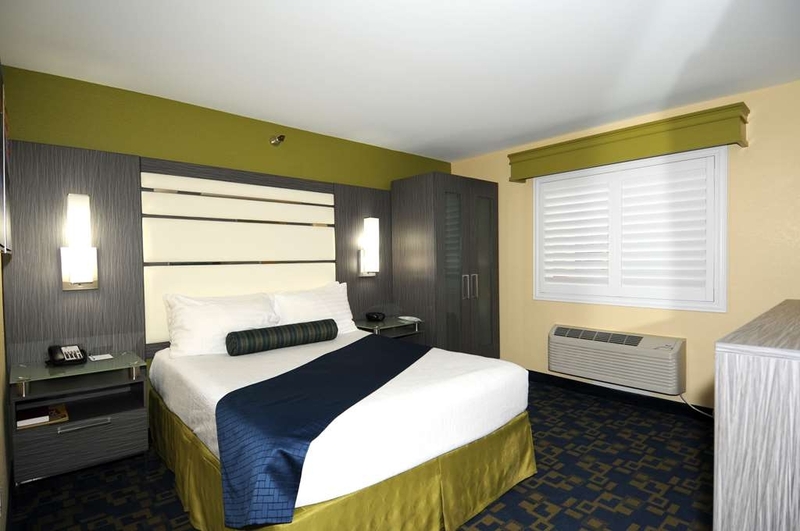 The hotel is located real close to the exit of the I-5 Freeway. Thank you so much for taking time to review our property. We appreciate your opinion and look forward to seeing you again. Just stayed one night and it was very nice. Very clean rooms, nice woman at reception with helpful dinner ideas and a pretty good breakfast with eggs, sausage, waffles, cereal and other items. Perfect stool before going to Lassens Volcanic park. Thank you so much for taking the time to write this review of our property. We are so glad that you were comfortable and enjoyed breakfast. We hope to see you again in the future. We stayed here for one night. It's right off the freeway and surprisingly quiet. The desk clerk was friendly, fun, and competent. Our room was nice, fairly modern with plenty of room for the two of us. Usual fridge, microwave, coffee maker, etc in room. Looks like it was recently upgraded/remodeled. I was unable to connect my device to the wifi and not only did the front desk provide the wifi access code upon registration, they also hand out a tech support phone number. I called and the guy on the other end was stellar. He got my device connected and I asked him why it didn't connect like it used to. He explained it to me and then walked me through the steps in the settings to change my setting so in future I can connect. Above and beyond service. Hotel security wifi has changed recently and he expertly explained it to me. We would definitely stay here again. 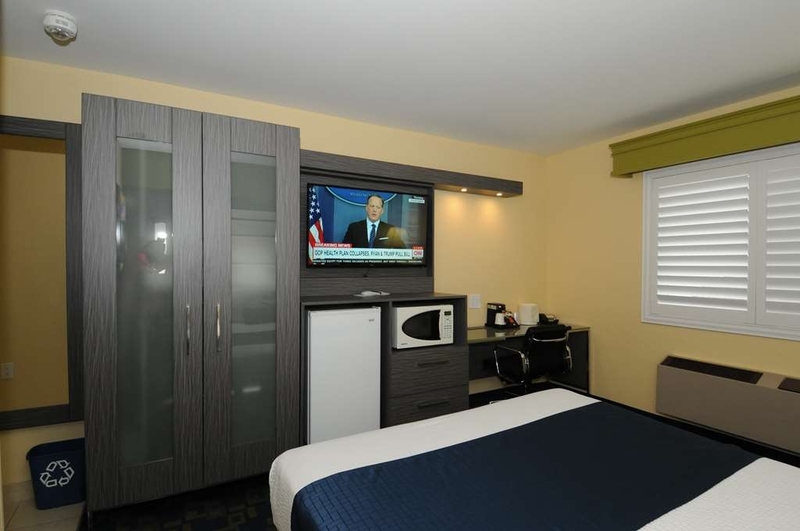 It is worth the extra dollars for a nice quiet location, comfortable, clean room, and a parking lot that feels safe. Thank you for taking the time to write this review. Thank you for highlighting our staff. We are so glad that you were able to use the tech support and get connected as well as enable future connections. We are so happy that you were comfortable and felt safe. We do hope to see you again in the future. We've never had a bad experience in all the times we've stayed here. The staff was courteous, helpful, pleasant and friendly. The remodel was a pleasant surprise. This will not be our last visit to this property! Thank you for taking the time to write this review. We always love hearing that our repeat guests are treated well on every visit. We are glad that you enjoyed the new look and we do look forward to seeing you again soon. "Staff going above and beyond to help"
Had a reservation at another hotel, it was horrible! Called Best Western @ 10pm and got a room right away. Destiny stayed after her shift to welcome us! Great room! We'll be back! Loved the Koi pond and aviary! No outside noise! Liked the amenities in the room. Only complaint was the window covering let to much light in at night! The breakfast was good! Thank you so much for taking the time to review our property. We are so glad that you had a much better experience at our location vs the other. We always enjoy hearing that our staff is going above and beyond to accommodate our guests. We hope to see you again if you are in the area. "Good hotel with helpful staff"
Thank you so much for taking the time to review our property. We appreciate your feedback. We are so glad that you enjoyed your stay and we hope to see you again in the future. "Red Bluff wins over Redding"
I will never stay in Redding again, when traveling through the Central Valley, after the late August weekend I spent in this unexpected little gem. It is hard to tell from photographs that it is a motel with an original look and feel that appears to be well-loved by its owners. There is no shortage of good people in Redding, but the hotels there have too many customers to care about treating guests as individuals. Destiny — that really is her name — went out of her way to meet my need for a room as close as possible to my car, and welcomed me with the quiet pride of someone born and bred in this town where people seem to ‘try harder,' in the competition for customers with the big(ger) city a half-hour drive to the north. A front office manager from a faraway country — I think her name was Jayu — was notably gracious, though firm in her insistence that she could not give me a late checkout because of the many firefighter guests rotating in and out on an early clock. As she and everyone else had gone out of their way to make me comfortable, I could see that she truly would have been more flexible in different circumstances. The well-designed desk and office chair in my room were a gift, as I had work to do. 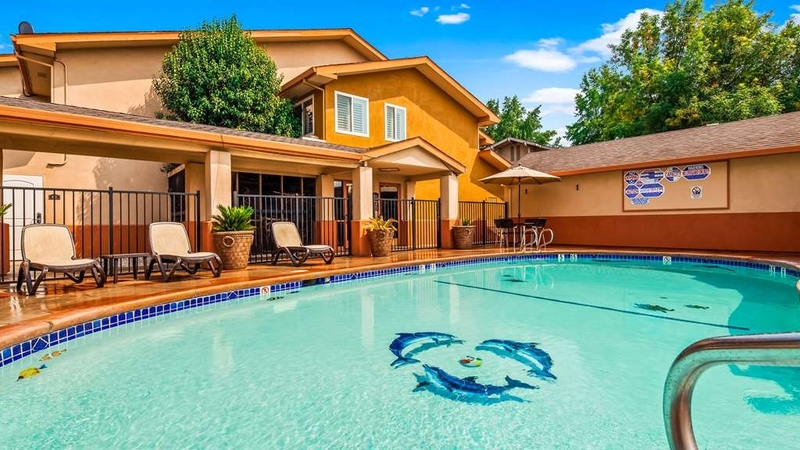 Leaving on Monday morning, I was impressed by the vigorous cleaning of the swimming pool, and by a smiling housekeeper who — like Destiny — seemed to be a Red Bluff native. Being looked after by a mixture of ultra-local and exotic staff members working well together is unusual for this area — in my experience — and was most enjoyable. I looked for antelope, but did not see any. Thank you so much for this glowing review of our staff and property. We all work hard and take pride in our establishment and we are glad that it shows. You did stay during a very busy time and there was a lot going on. We are happy to know that all of the chaos did not change the service that our guests receive. We certainly do hope to see you again the next time you travel through. Until then please travel safe! The beds are very comfy & the rooms are clean. We had 2 rooms booked & both were wonderful. The staff is very helpful, we needed a few towels & we had them within minutes of asking for them. Loved the birds & fish, was such a nice touch. The pool is very inviting. Breakfast was what you would expect from Best Western so we weren't disappointed at the many options available. Overall I would say this is one of the best places we stayed on our trip. Will stay again. Wonderful to hear you enjoyed your stay. We take great pride in our establishment and truly thank you for your appreciation and business. We look forward to seeing you again. Clean and updated rooms with plenty of space. The beds though, very firm and not all comfortable. Pool was nice, no hot tub. They have a great koi pond and several birds which was fun. Nice breakfast with varies items. My biggest issue and why I didn't give 5 stars is because of the smoking. There are signs everywhere that it's a smoke free hotel but.. guests don't follow the rules and they aren't enforced. In the area by the pool, pond, and birds sat the smokers multiple times during our stay and we were there for about 12 hours. We had to walk through it to get to our car and continental breakfast. That was irritating. I'm not sure I would stay again. There are other hotels priced similarly in the area that I would probably try before booking here again mostly because of the beds. Staff was very friendly and helpful. Several resturants nearby. Easy access to freeway. Hello, we are sorry to hear that you did not thoroughly enjoy your stay. We are happy to hear that our staff was working hard to make your stay a nice one. We are a smoke free hotel on the interior, and we do advise our guests to smoke at least 20 feet from the building. As for the beds, it can be very hard to find a mattress that meets every persons comfort levels. Again our apologies. Had the pleasure of staying at this hotel for approximately three weeks. The staff was wonderful; very helpful & patient. Shout out to Front Desk Staff, Destiny, Elizabeth, Sally, Lisa, & November; Rayna, Breakfast Room, Jose, & Jay, Manager. Rooms were very comfortable & clean. Had free full breakfast. Location very convenient to I-5. Would highly recommend this hotel. Thank you so much Donna! We miss you here already! We all hope that you have the best trip home. It was a pleasure for us to have you here! The room was super clean and bed was very comfortable. I found the staff friendly and helpful. They offer a complimentary breakfast which is the standard food stuff. It's nothing special but will get you through to lunch. 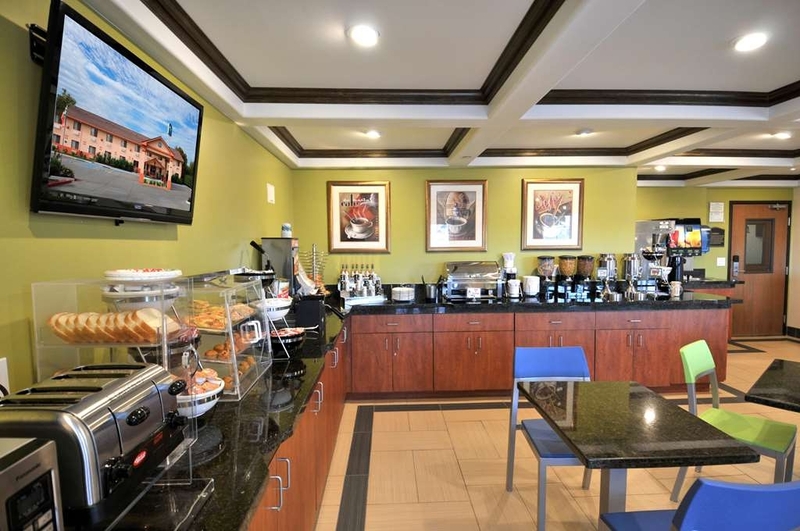 The hotel is close to lots of other food choices and a Starbucks in walking distance, should you choose to skip the complimentary offerings at the hotel. I will definitely stay here again. Thank you so much for your kind words. We are thankful for you taking the time to review our property. We appreciate your business and hope to see you again in the future! We were in the area to visit family and found this BW convenient to I-5. The bed was so comfortable that we slept through the free breakfasts all three mornings. Fortunately there is a great restaurant, the Rocking R, right out the door. When we visit family again we will stay here. Very nice front desk staff. We are always happy to hear that our guests had a great stay. We hope you will visit us again soon. "I was so happy with this hotel"
This place is not what I expected. I was expecting something less extravagant, and exceeding my exceptions. the staff was awesome, the hotel lobby is amazing, and the pool is awesome too. They have birds which I didn't expect to see, and so refreshing to see. There is a pond with tropical fish in it. I just love it! So cool, and would highly recommend. this was a great find for me and if I come back to the area, would definitely stay again. Driving home from So Cal to Oregon, this hotel did the job. It was new, clean, New, smelled good, New and friendly. I even liked the provided shower soaps and shampoos in the dispenser. Sometimes that can be worrisome and just the optics alone of a dispenser vs travel sized soaps can be a turn off. My only complaint was the a/c. The unit was very loud. It was so hot you had to have it on. Other than that, great value. Thank you for reviewing our property. I am however sorry to hear about the A/C. We will take a look at your room number and take care of that problem for the next guest. Thank you for letting us know about that. We appreciate you thoughts and opinions and value them. We appreciate you staying with us and hope that you will again return to stay with us. "Delightful surprise en route to Lassen Volcanic National Park"
The aviary has more than a dozen exotically-colored and active birds, the 7 foot deep black-bottom (appears bottomless) pond has Koi fish larger than we'd ever seen before, and (always important) the room was clean, comfortable and quiet. We and our dogs enjoyed evening and mornings strolls in the nearby quiet neighborhood with shade trees. A Raley's Grocery just across the Sacramento River and South down Main St, is like a food museum, with anything and everything a foodie would want. The next day we were refreshed and ready for the National Park. 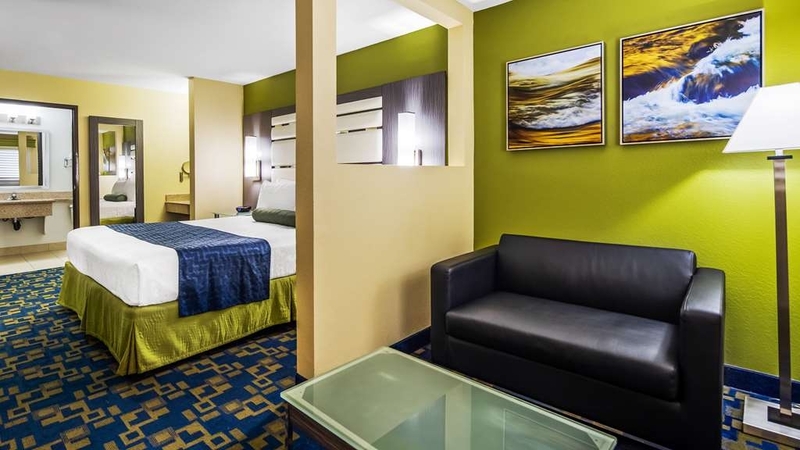 We were very pleased with this Best Western Inn, the staff was not only very helpful they were friendly as well. We passed through a torrent of insects on our way to Red Bluff, stopping to clean the windshield twice. When we arrived at the hotel they had a "bug cleaning" set up right outside the door that consisted of bug cleaner and rags! What a concept, recognize an issue around their area and provided a solution. The rooms were clean from top to bottom, comfortable beds, and the bathroom was spotless. The breakfast array of food was beyond what we expected, and was warm, well prepared and tasted delectable. The koi pond was fun to see and provide some relaxation time as well. The facility has a pool as well and it appeared to be in wonderful shape. 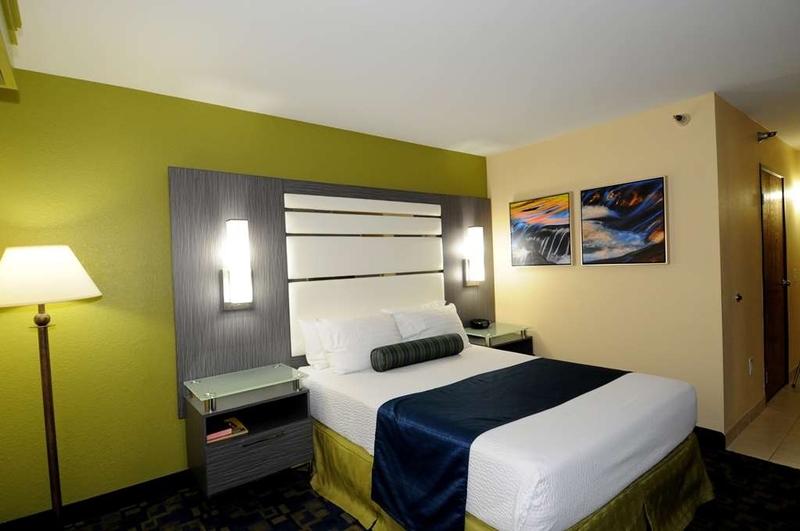 Do not hesitate, book your room here and you will be one happy camper. 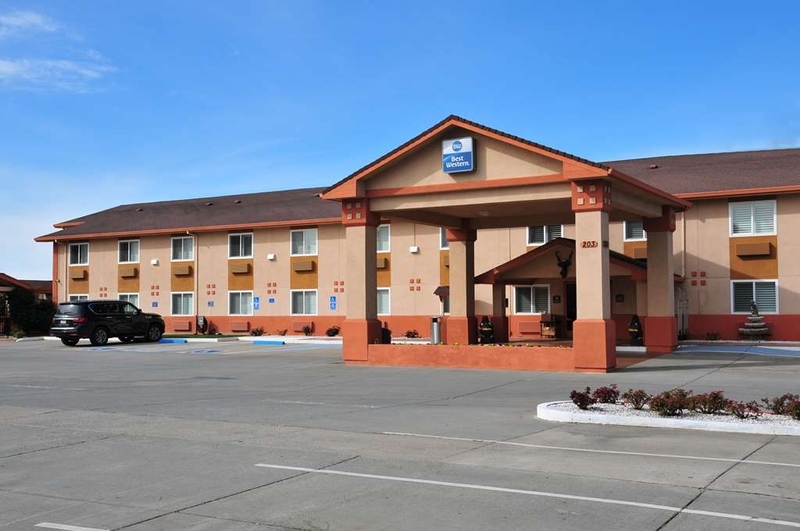 "A gem of a motel"
My sister and I spent 2 nights at the Best Western Antelope Inn and were very impressed. It has recently been updated and was so clean and inviting. It even has a Koi pond! The pool, grounds and "aviary" were well kept. Their breakfast was a breakfast and not just a roll and coffee. The staff was really friendly and right there with help and suggestions on restaurants, directions etc. The room was spacious and quiet, with comfortable beds, fridge, micro, and even a cubby for putting on makeup or doing hair. Will definitely stay here when in the area again. "Nice clean area & hotel with birds & fish to enjoy on a warm summers evening"
We were arriving late evening & needed a place to find food, the people at the hotel were so helpful in guiding us to a great restaurant close by, just before it closed. The room was nice, bed comfortable. It was a warm evening so we took time enjoy the landscaping, cage of many different chirping birds & a pool with lots of colorful Koi fish. It was easy check in & check out after a very nice complimentary breakfast to start our day. Would highly recommend it, just so relaxing after being on the road for 29 days on our way home to Seattle. Thank you so much for the wonderful review. We appreciate you taking the time out of your busy schedule to fill it out. We appreciate your business and hope we will see you again when you pass through Red Bluff again. ok, the motel is a bit older than some in town but the staff at the front desk are very personable and friendly! we stayed for only one night on a trip last week but we will return to Red Bluff and I anticipate staying at Antelope Inn again! they are replacing some carpeting on the second floor so there was a bit of noise during the day but it wasn't bad and stopped long before bedtime! the koi pond was a joy to check out and the pool was very popular during the afternoon!. Thank you so much for the wonderful comments and the glowing review. We are so pleased to hear that our staff was able to meet your needs and take care of your lodging requirements. We appreciate your business and hope you will return again to stay with us. I would highly recommend this motel. The atmosphere is lovely, roses and landscaping all around, a koi pond with fountain that greets you as you come in the back door to rooms (and an aviary!). The outdoor pool was beautiful and pool area inviting, with chairs and tables, where people lingered into the evening... very pleasant. Good for dogs. Staff kind and helpful. Best breakfast we had on trip. This is a winner! Thank you so much for the wonderful comments and the glowing review. 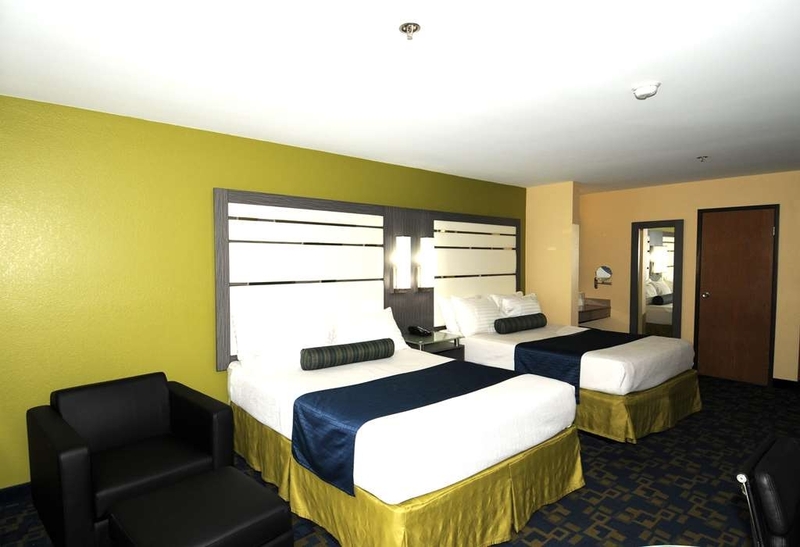 We are so pleased to hear that our staff was able to meet your needs and take care of your lodging requirements. So glad you took advantage of our wonderful breakfast lineup. We appreciate your business and hope you will return again to stay with us. Great property, friendly helpful staff. Grounds and rooms clean and well kept. Mornings feel like home when you walk down the hall to breakfast room smelling like fresh cooked waffles. Amazing Koi pond. Walking distance to two sit down restaurants, fast food, gas stations, and coffee. Thank you for your review. However, I think there was a mistake. From the sounds of your review it seems like you enjoyed your stay. However, from the number ratings chart you only gave us a 1/5? If there was a problem would you mind to please elaborate on this so we can look into the problem and take care of it. The hotel is clean, close to all things Red Bluff. My family was visiting Red Bluff for the Rodeo weekend, third weekend in April. I booked the room months in advance because I know its busy. I used Hotels.com, which has a book now, pay later feature. I use this feature to allow flexibility to cancel, and find a cheaper room due to the amount of traveling I do. This feature allows, NO PAYMENT UNTIL CHECK IN. On the long drive to Red Bluff, at approx 10:30 a.m. my bank alerted me that Best Western had gotten an authorization on my card. No worries at the time, because I planned to use a different card upon check in, and expected the hold to be released on this card. Clerk was flustered, when I asked about this, she called, I assume the owner/mang, and was told this was possible, however hold would have to be released by the Bank. Which everyone knows wouldn't be until Monday evening, because banks are closed, after hours on Saturdays. I asked why they authorized this prior to check in, and was told that's the policy "for this weekend. Accepted that situation. She then asked for my card again for check in. Asked me to slide it through the machine, and I specifically asked "you are not charging my card again, correct?" "no, this is just to promise to pay, was the answer. Within seconds, another alert from the bank. This second hold resulted in over 650.00 being held, on my checking account for a very busy weekend. I knew it wasn't her fault, however, she had no reason for this. I was told I would be contacted by the owner. Drove home on Monday, I heard nothing. I followed up on Tuesday. Bank still had one hold (for the hotel cost) and other hold, like I suspected, fell off Monday night. My complaint was not with the hotel, however the owner, in so many words, said, I should have used another card, and that basically I should have been aware of their policy. And continued to tell me that rooms get booked for Rodeo weekend, and that lots of cards are declined, thus the need for a pre authorization. What would have happened if my card was declined, prior to check in? Would they have given my room away? I am blessed that I had another source of funds, however what about the client that don't? Manager was apologetic in regards to not calling me back, but was not working towards resolution. Unfortunately, I wont be staying here again, and after contacting Best Western customer service, and receiving no response, am writing this review. One thing that has been changed, is that on the hotel website, as it now lists this disclaimer regarding the right to pre-authorize, under the manager news section. So I guess that is a plus! Moral of the story, do not use a debit card for booking, on a busy weekend, through a third party website, and get your card charged early, and at check in. Message to the manager, it would have been nice to talk to you on the phone, instead of by email. I am positive that you have a beautiful hotel, and I am sure it gets busy on Rodeo weekend. But remember, it takes one mismanaged interaction to change things. "I am sorry, you are right, we should have it posted, what can we do for you, would have been good enough". But it was my fault, according to you, that I used my debit card to secure the room. Not good client relations at all. Thank you for reviewing our Hotel and for the positive input on the hotel. As for the owner/GM I will turn this review over to her. I am truly sorry for how things turned out and that you will not be staying with us again. I understand your frustrations concerning the bank cards. We get frustrated with the banks for their policies and use of these cards. They just do not work the same as credit cards, no matter what they want you to think. As for the "buy now pay at check-in" policy, . We are in our rights to process an authorization as well as a payment with the card you choose to book with, at anytime after you book a room. We have looked into this policy in great detail since the weekend in review, and are making some changes on our website to establish this. We are truly sorry for any inconvenience this has caused you and apologize for any irritation this has produced. . Thank you again for your review. We do appreciate and value all our guests. Love the hotel and try and stay at Best Western Always unless I have to travel with my dog which is most of the time but because of the pet fee I usually don't stay there I travel 3 weekends a month staying in hotels and wish that i could just stay at Best Western Hotels. The rooms are always clean and staff is helpful. Thank you so much for your loyalty with Best Western. We are sorry that you feel that the pet fee is too much. however if you seen some of the rooms after pets leave it you would understand why we have this policy. We know not all dogs and cats make a mess out of our rooms but we do need to charge a flat rate for all. Thank you for understanding. Your business is important to us and we value your thoughts and opinions. WE look forward to seeing you again. Nice room and staff, need to clarify the service dog situation though, i would heartily recommend this property any time someone had a question, great location beds are comfy , nice and quiet ,parking needs to be more in line with rooms available though. Thank you for such a warm review. We appreciate your loyalty to our property. We are so glad you enjoyed your stay with us. Service animals are always welcome. I'm not familiar with any situations in which you may be referring to, but I assure you Sevice animals are always welcome free of charge. We appreciate your business and We look forward to seeing you again in the near future. "Rooms/Parking are Excellent but People Make the Difference"
We have always felt welcome here,accompanied by our afghan hound and towing our 24' sailboat on the long trip south from Canada. On our return this time, old age and a silent illness caught up with our hound.The staff responded with a swift referral to the best emergency veterinary hospital.They showed us and our pet such kindness, which we will never forget. Rooms are not vast, but very well kept. We had everything we needed--and breakfast is always well stocked. Attention is paid to guests' requests and needs here too. But the best part of this hotel is its people. We will surely return next year. 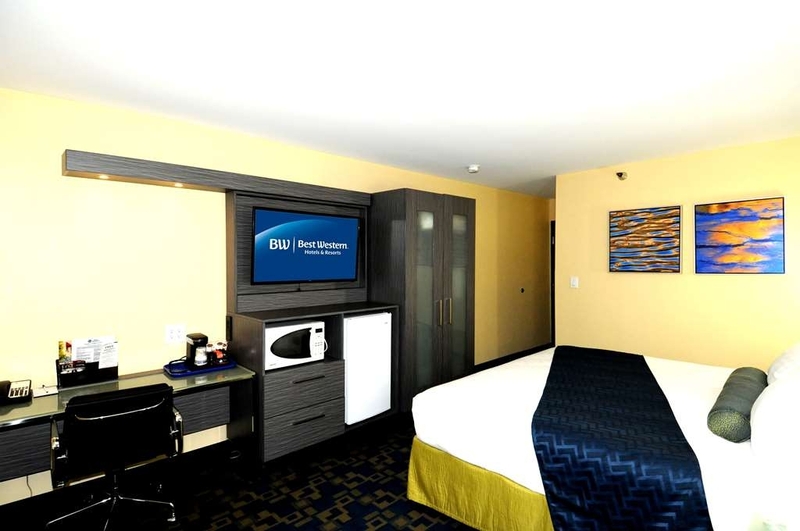 I am a frequent Best Western guest due to my work territory and their rewards system. This hotel in Red Bluff was very easy access to the I-5 highway. It was also clean and comfortable. I would stay at this location again. This hotel was great. The staff was helpful and caring when we pulled in close to 11pm. The room was clean, comfortable, and quiet. We had a great night's sleep that was desperately needed after having our worst hotel experience the night before in Roseville/Sacramento. The hotel has a bit of a theme that I wasn't so sure about when we arrived but when I got a better look in the morning I liked the hotel even more. There is a wonderful koi pond with huge Koi and an avery filled with birds. The lobby decor made sense in the morning when I could properly see the hotel. It was a wonderful place to relax and feel calm and serene. We enjoyed the breakfast in the morning and took a few minutes to appreciate the grounds. It was wonderful to see the roses blooming as well as the fish and the birds. Thank you for taking the time to fill out the survey. We are so ecstatic that you were able to enjoy the grounds and see the beauty, as we see it here. We appreciate your business and hope you will stay with us again. Clean, updated, great customer service. Really liked the charging hub in the room. Easy off and on access to freeway but not too close to be bothered by noise. Staff very helpful and pleasant. Overall a great stay. We stayed here for 3 night as we fished a few different spots in the area. We were very comfortable our whole stay. We had to dry our clothes one day because we fished all day in the rain and we were going fishing the next morning and need our outer clothes dried. The staff was very helpful as well. I would recommend this as a great place to stay. "Hotel was a great find!" We stayed at this hotel for the first time and will definitely be back. They recently remodeled the rooms and lobby and did a great job. The rooms were nicely appointed with fresh choices and very comfortable. East on and off I-5. Great restaurant next door and good breakfast buffet in hotel. Seemed to be an older motel but the room we stayed in was recently remodeled. After a five hour drive coming home from vacation I was a bit disappointed to find I was upstairs with no elevator. The mattress was a bit hard for our comfort. 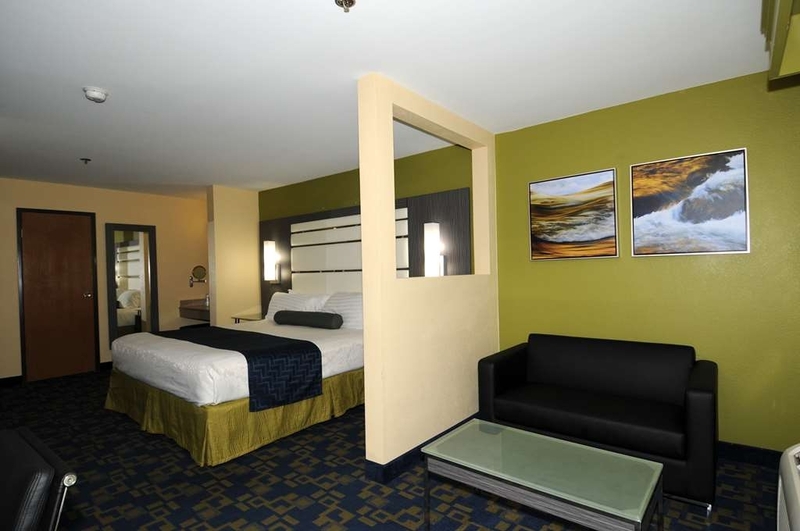 Great room and very comfortable...nice hotel in a great location just off the I-5...room was very clean and reasonably priced. Restaurants are nearby...very quiet room in a small town, nice pool and bird area. Enjoyed this nicely remodeled property. Outside was attractive and included an aviary and koi pond. Rooms are clean, well appointed and great bedding, very comfy sleep. Front desk staff extremely helpful. I skipped breakfast, but the area looked very nice. Thank you kindly for taking the time out of your busy schedule to review our property. We appreciate your business and hope we will see you again in the future. Maybe next time you will be able to enjoy our breakfast with us. 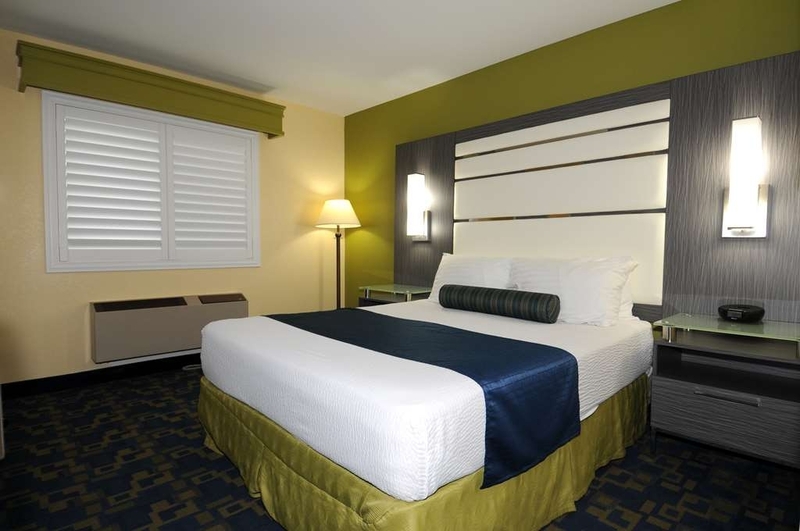 "Great Stay in Red Bluff, CA"
Best Economy Hotel in Red Bluff! Great locations to restaurants, walking trails, and the Sacramento River Wild Life Area. Staff was friendly and the hotel was clean and well taken care of! Pets are welcome! Swimming pool was refreshing! Thank you so much for the wonderful review. We appreciate your business and look forward to seeing you again in the future. "Last minute find, and we loved it!" Had never actually been in Red Bluff, off of the interstate, and had no idea about where to stay. Jumped on Trip advisor and found this hotel. We got a nice ground floor room, not far from the pool area. ...and speaking of the pool area, it was a nice surprise to find the bird cage there. Parakeets...hundreds of them (it seemed), in a giant cage/room, overlooking the pool area. Lucky them! The pool is small, but the pool area is tropical, and inviting. There is a koi pond back there, too. The hotel was clean, and our room smelled like oranges. VERY orangy. That's fine. I'd rather smell that them some other nasty smells! The room was small, but well appointed. We had plantations shutters on the windows (which is always a classy touch, in my book). Our room window faced the west, and there was a draw with a slough running through it, and I was a little concerned that "peepers" might hang out there at night, but the grounds were well lit! There seemed to be a lot of people staying at the hotel for work. Blue collar guys. They didn't make a peep! Because of the workers, the parking lot filled up quickly, but other than that, we had a very nice stay! Check in staff was friendly, and we got check in QUICK! Would definitely stay there again! The hotel looks like it has gone through an upgrade recently. However, they still insist on providing cheap, plastic glasses in the room, which cheapens the whole experience. The location is excellent for a traveller. "Quiet stop in Red Bluff"
"Great place to stay in Red Bluff"
We spent three nights at this location recently. Room was small, but served its purpose. We have a Sleep Number bed at home and that was really all that was lacking here - but that is just our personal preference. Staff was very nice and attentive. Will stay here again on future trips to see family in the area. 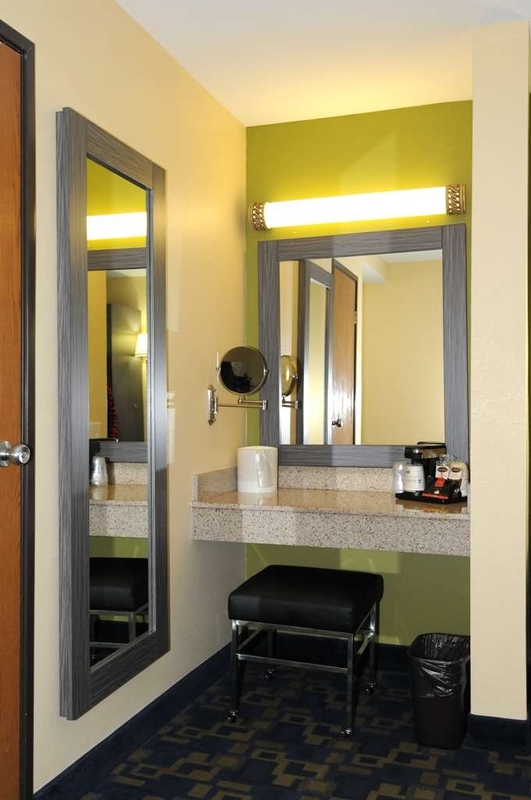 "Best Western Antelope Inn & Suites, Red Bluff, Ca"
The room was clean and modern. The exterior of the hotel was clean. The lobby was clean. The staff was friendly and helpful. There's easy access to food places, downtown and easy access to the freeway. I would recommend this place to anyone that is visiting the Red Bluff area. 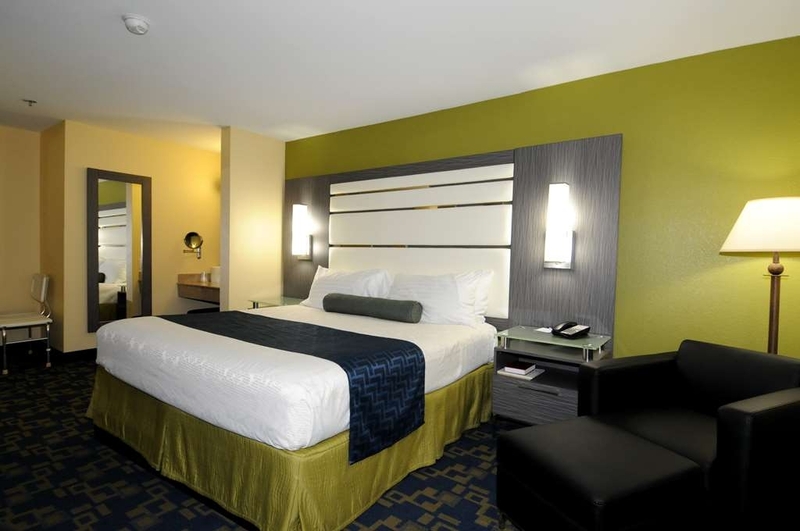 This is a great hotel, and the recent remodel has made it well worth the money. Friendly staff, clean and comfortable. This is our regular stay when ever in Red Bluff. We will definitely stay here again for Thanksgiving in town with family, if not sooner. Thank you for your review. We are pleased to hear you enjoyed your stay every time you are here. We so appreciate your business and cant wait to see you again. Great parking for large vehicles. Rooms were clean, property was beautiful. The mattress was past it's prime so was lumpy and uncomfortable. Overall was a good spot for a night's sleep. Easy in easy out. Thank you for your recent review of our property. Looks like you enjoyed your stay excluding the bed. I am so sorry to hear of this. I will be looking into this matter and requesting any needed items it needs be it a new liner or mattress. We appreciate you taking the time out of your busy schedule to rate and review our Hotel. We thank you for your business and look forward to seeing you again. Very accommodating staff. Nice facilities which are almost finished being updated. 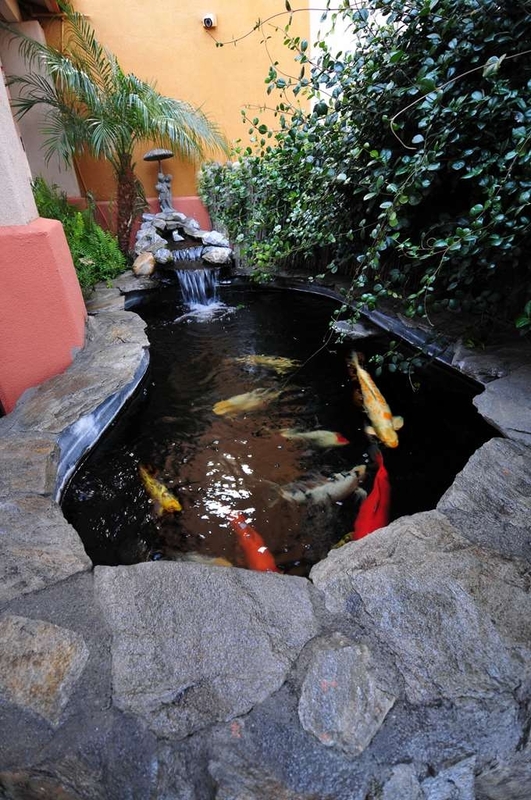 Koi pond and aviary are well maintained and enjoyable, especially if you have children. Nice exercise room. Breakfast area clean and had many choices. Missed out on oatmeal. Was not busy at hotel so only one person maintaining breakfast area and front desk at the same time. Thank you for your recent review of our property. We appreciate you taking the time out of your busy schedule to tell us what you liked or disliked about our property. We are pleased you enjoyed your stay and only wished the oatmeal would have lasted through breakfast. Sometimes we just cannot predict the correct amounts of food to put out. Once again, Thank You for your Nice review. We appreciate you and your business. The room was comfortable, it had a very professional look to it. The breafast was good. I wish the pool was more Indoor/outdoor. If it was heated during Winter time it would be great. I would definately stay again. Thank you for your recent stay and review. By telling us what you liked or disliked we can make changes to make it a better stay for you and for other guest in the future. Our pool is usually open unless it is raining, (even though it's cold.) however we have had some construction going on next to pool area so we've had to close it while construction is happening. We hope to see you again and thank you for your business. "Great Value in Red Bluff"
"visit with sister in Red Bluff"
Room could have been cleaner, my dog found crunchy snacks under the bed and I found someone's garbage. There is no elevator so if you have heavy luggage it's not good. Room was quiet but I am not sure if I will chose this motel again. Not sure why they call this a Best Western "plus"; it was as basic as a Best Western can be. As is typical for an I-5 corridor hotel, it is right off of I-5, and for us it was a good option since we were able to bring our dogs. However, the room was quite small for 2 dogs and 2 people (with luggage) and the view of the parking lot left a bit to be desired. It was also quite noisy (truckers slamming doors at 5 AM as they were leaving; guests returning and talking loudly in corridors at midnight - which, of course made our dogs bard). I would have liked some access to the outside for our pups; we had to walk them through the hallway to get them outside. Bed was comfortable. Lighting in the room was quite bright, Breakfast was just like any other "breakfast included" motel. Value for money was quite good. "Watch out for rogue owner." Owner very rude and loud. Treats guest and her employees bad. Bathroom had ants. Breakfast was lacking fresh fruits, only had apples. Fairly new furniture in room but was totally metal looking futuristic in a western town. 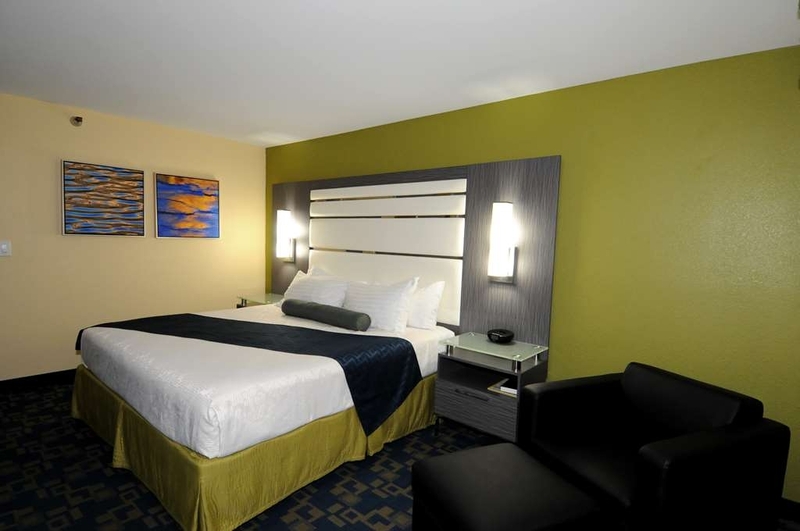 "Nice room for the price"
The room was offered at an affordable price, staff was helpful. The bed was a little hard for my preference, but the rest of the room was fine. The internet was fast. We enjoyed the breakfast, a variety of items were offered. I prefer having liquid coffee creamers or half and half to the powdered offerings. Thank you for your review. We are pleased to see such a glowing review. As for coffee creamer, we do have them they are kept in the refrigerator. We are sorry you missed them. We hope you will come back and stay with us again. We would be delighted to have you. 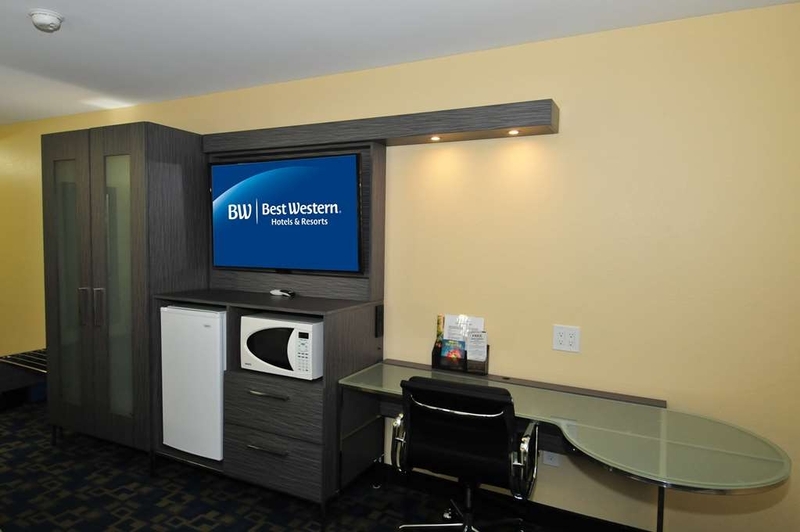 I have stayed in four-star hotels that were not as friendly, as comfortable, nor as affordable as this Best Western. I was impressed with every staff member I encountered as well as the amenities in the room, such as refrigerator, coffee maker, and microwave. In addition, those four-star hotels charged an arm and a leg for overnight parking. 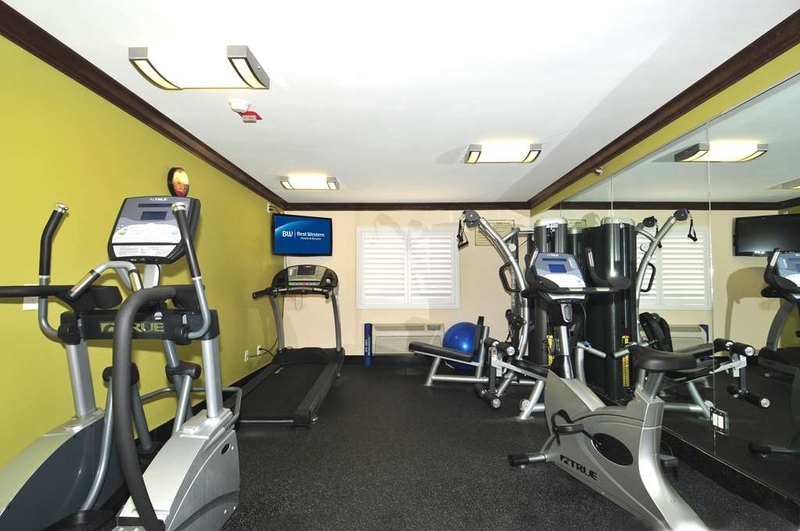 I have stayed at this motel in the past, and I was also very impressed with the remodel of the facility, from a new workout center and an enlarged breakfast area. I would recommend the Antelope Inn & Suites in Red Bluff to everyone. Thank you for giving us such a wonderful review. We appreciate your business and your satisfaction is important to us. We hope you will come back to stay with us again. Great value! We stay at the BW Antelope Inn a couple of times a year. It's freeway-adjacent, but quiet. The owner obviously takes pride in this property. It is very well maintained and clean. The pool area is great and the koi pond an aviary are fun. The grounds are filled with rose bushes and parking is good. We love that it is pet-friendly and includes breakfast. A perfect stop for travelers! This is the best hotel/motel of any at which we have stayed in recent memory. 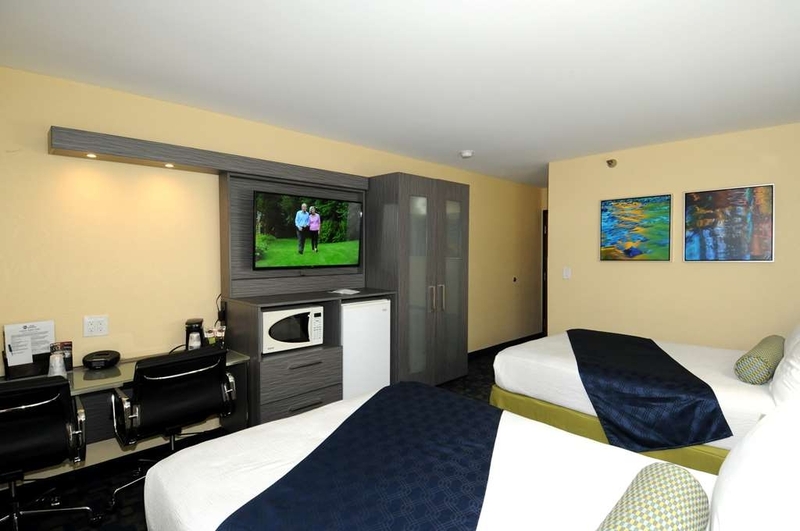 Exceptionally clean, well-equipped, and well-furnished room. Everything we look for in a place to stay while traveling. Comfortable bed. Good work desk. Excellent wifi, reading light for each side of the bed, very well set up bathroom. We happened into this place by accident because of a road closure. We'll definitely be back whenever we are in the area! Friendly, helpful front desk staff. Comfortable room nicely decorated, with convenient amenities like lounge chair and ottoman and padded headboard. Good lighting, plenty of surfaces. 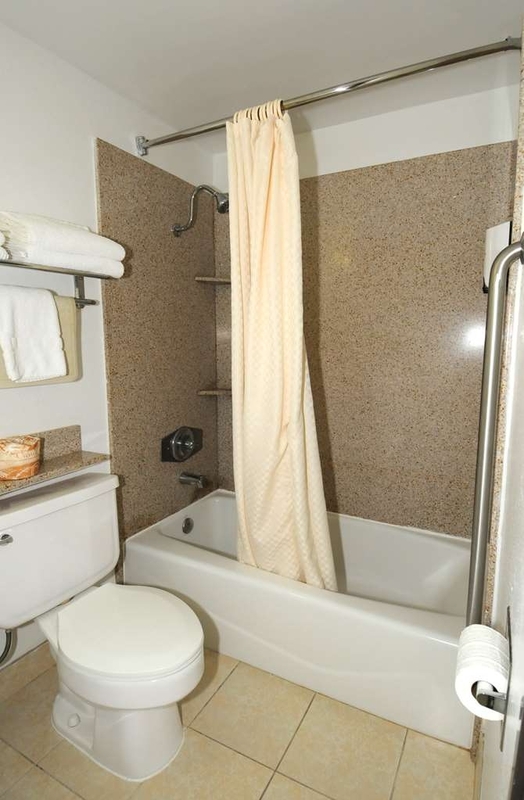 Nice bath with separate sink area, bathmat, grab bar, thick towels, products in dispensers rather than wasteful little bottles. Had recycling bin. Quiet location yet convenient to freeway and restaurants. Great breakfast with many hot and cold options. Indoor and outdoor tables. Older motel, but clean, quiet and very affordable. At check in Crystal pointed us to a good restaurant. We were having car engine problems...she said right up the hill is an AutoZone store and that they were open on Sunday night...they solved the problem. The hotel was great! 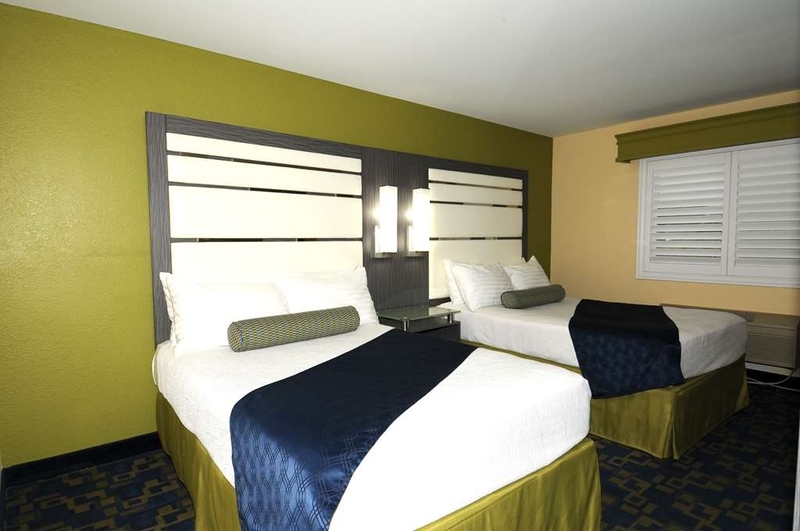 Rooms were clean, modern, the beds and pillows were very comfortable, and they included a multi-charging hub on the nightstand for easy charging of all our devices. The restaurant next door gave a discount for hotel guests. Breakfast was fine- nothing extraordinary, but good. I would definitely stay at this hotel again if I were in the area. Lovely rooms, hotel staff was pleasant upon arrival and departure but need to train on problem handing especially over the phone. Pillow sheets were also dirty upon arrival. Most likely won't be staying there again. Thank you for your review. We appreciate your business and it would be our pleasure to have you come back for another stay. A very nice and quiet and comfortable place to spend the night. The staff was helpful in getting us checked in even though we didn't have a reservation. The breakfast was good and hot with a wide variety of quality food items. Thank you for your wonderful review. We appreciate you taking the time out of your busy schedule to review our property. WE are happy that you were pleased with your stay and hope you will be able to spend sometime with us again in the future. "OK but wish it had an elevator"
All was ok, everything worked, food close by brkfst was good staff good. Please note fellow travelers it does NOT have a elevator. If you have luggage that you have to lug upstairs get a room on the ground level. They should have built the facility with an elevator in each building. Thank you for reviewing our property. We are pleased you enjoyed your stay (except for the stairs). We have checked into putting in elevators and it is just not do-able , yet! We hope that you will consider staying with us again in the future, and please request a downstairs room if the stairs are not feasible for you. We can not always guarantee downstairs but will do everything possible to fulfill your request. We were completely satisfied with our room and the hotel. The only thing that was different was that there was a strong orange smell in the room. Possibly to offset the smoky atmosphere from the fires in the area? I'm not sure. We stayed for one night . It's convenient in every way. The rooms are spotless, comfortable bed etc, all that you need. But the best bit for us was the laundry services ( that wasn't advertised online ) which was a god send after travelling for a few days and running out of clean clothes. I sat by the pool while I did my laundry ! The staff were very helpful with any queries we had. Breakfast was just what we would want, there is something for everyone. Oh and not forgetting the diner next door. Excellent home cooked food at realistic prices. It shuts at 9 pm though. Thank you for reviewing our Hotel. We are so pleased you enjoyed your stay with Us! Good to know that you got to enjoy our swimming pool while your clothes were washing. Sure beats going to a laundromat and waiting for them to get done. Its always so hot in those places. Thank you again for staying with us and we hope to see you back again. The location is very convenient and easy to find. There is a family restaurant next door that provides good food at a good price. Staff is friendly and helpful. 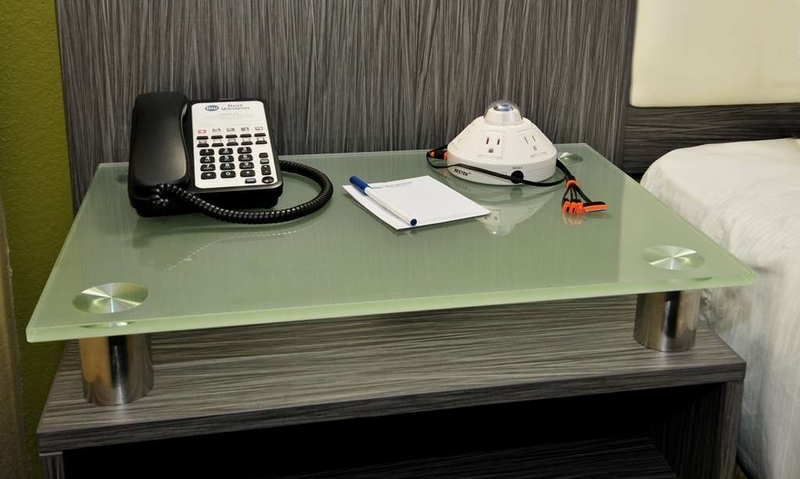 The room is clean, modern, and conveniently equipped with more than adequate charging outlet for gidgets. Wi-Fi is easy to use and works well. The breakfast is good. Service is good. Convenient to the freeway, this BestWestern was well run. The rooms were clean, and had a design for travel that was very well done. Plenty of storage hangers, thoughtful design for convenience: separate dressing areas and mirrors and a seat to do hair and makeup. Well thought out design of room. Thank you for your review. Thank you for your kind words about our property. We have worked rather hard trying to meet the needs of our guest with our new decor and renovations. Thank you for staying with us and we look forward to seeing you again. I really loved this hotel. 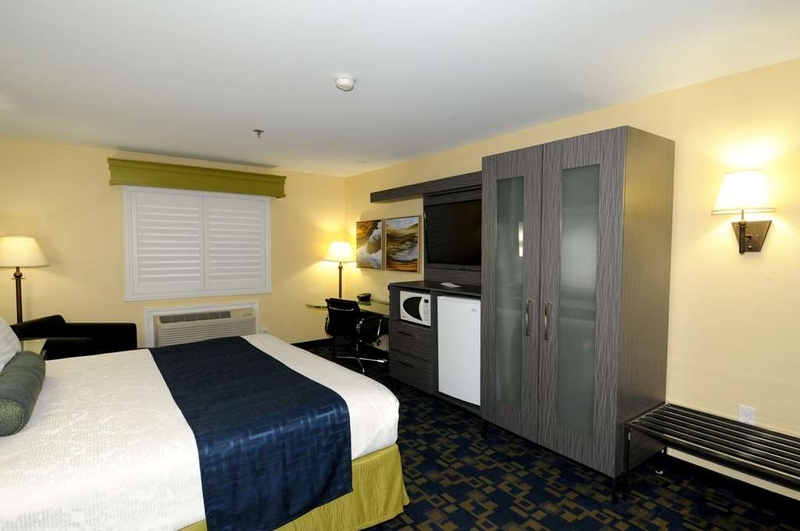 It is a bit difficult to find because it is behind the Chevron Station, but the hotel is clean and close to the 5 Freeway. There is plenty of free parking and they have a small fitness center. There is an awesome swimming pool, with colorful tiles. 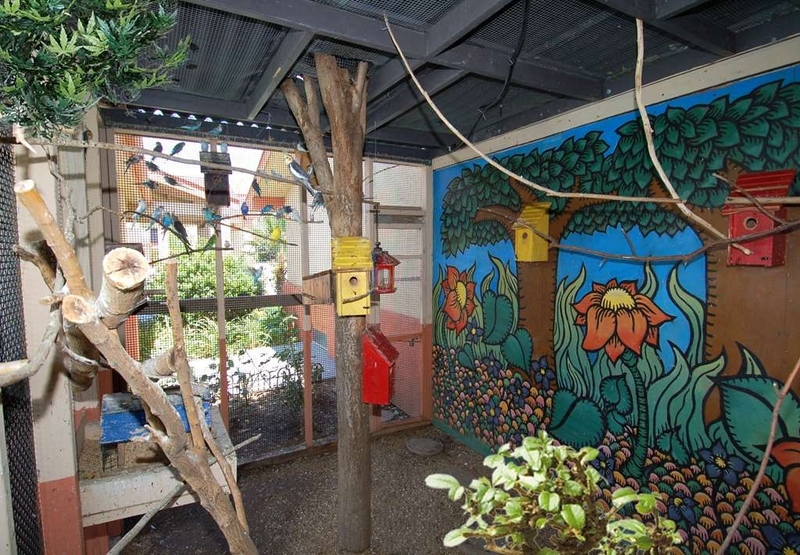 The outdoor area also has a aviary of parakeets and a Koi pond. My room was quiet and it came with a fridge and microwave. I like the fact that they are environmentally conscious and there is free coffee and breakfast. Thank you for taking the time to review our Hotel. We appreciate your business and are happy to hear you enjoyed your stay with us. I'm certain our birds and Koi enjoyed your company as well. We thank you for your business and hope to see you again soon. Very modern decor that felt a bit 'cool' for our tastes but the room was exceptionally well appointed with sitting area, desk, vanity desk etc. Above average in this area. The breakfast is typical BW fair with the addition of a few items. Overall it was a good stop. Thank you for your review of our Hotel. We are glad you enjoyed your stay and hope you will be back to visit again soon. We appreciate you and your business. Best Westerns in general have decent rooms, breakfasts, and fitness rooms. Many have pools. A friend and I took a road trip for 8 days. We chose Best Western for 7 of those nights. The prices were good, the accommodations clean, and the staffs at all 7 were friendly and accommodating. 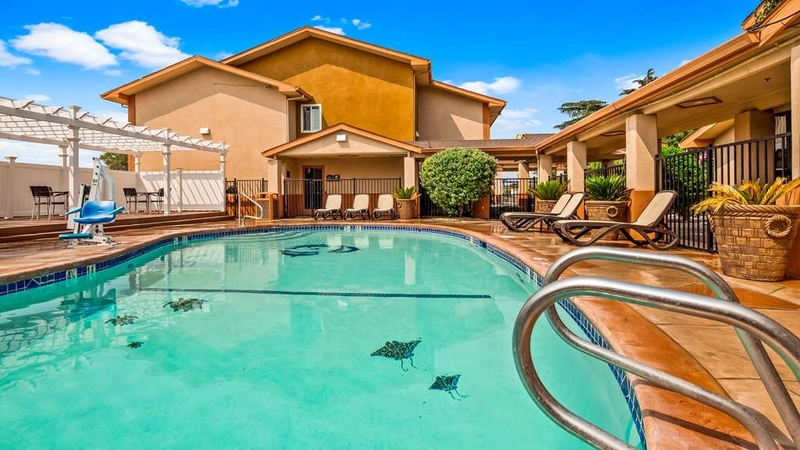 While this might not be a great choice if you are looking for romance or luxury, it is a great choice for road tripping alone or with your family or friends. "Best Western Red Bluff, CA"
It was a very nice room. Appreciated having a small kitchenette, and an additional sofa. Room was very clean, well equipped amenities. Very nice staff. Would definitely stay here again if I go through Red Bluff. Room was spacious and clean (save for a water bottle that wasn't ours underneath the TV stand). Lots of outlets!! Comfy beds. Staff at the desk were very nice. Internet might have been spotty, though. Had a certificate issue. Regardless, I'll be staying at more Best Westerns after this stay! Very impressed. Great find after a long journey on the 5 freeway. "Great hotel but not the beds." The staff was kind and professional. The hotel was clean. Our only con was that the bed was very uncomfortable. It was to hard and felt cheap. The breakfast wasn't great (we don't eat cereals and that sort of stuff). 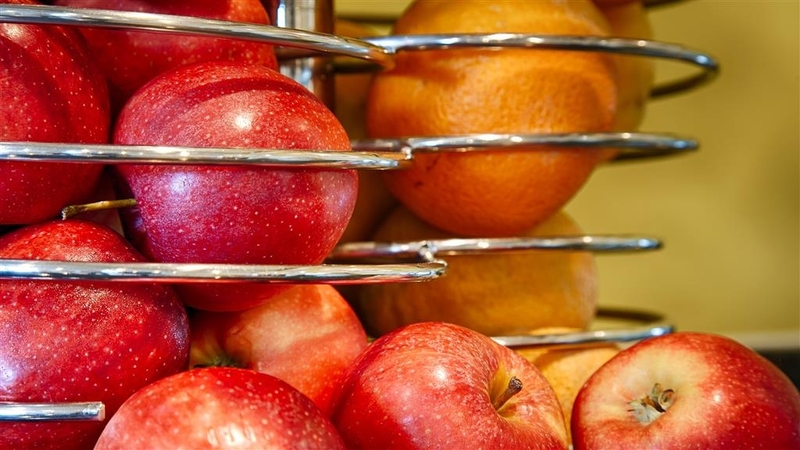 Apples were the only available fruit. While there was a notice that gluten-free items were available upon request, when we inquired as to gluten free bread, it wasn't available or the person didn't understand...not sure which. Came around midnight and hotel clerk Cordero was courteous and upbeat. He even went outside to help us locate parking since it was so late and the lot was full close to the registration. Note that the parking lot is large and we located a spot although we walked a short distance. It felt good after the long drive. We went down for breakfast in the early morning and saw our friend Cordero. He opened the breakfast room a little early since we wanted to be on our way. 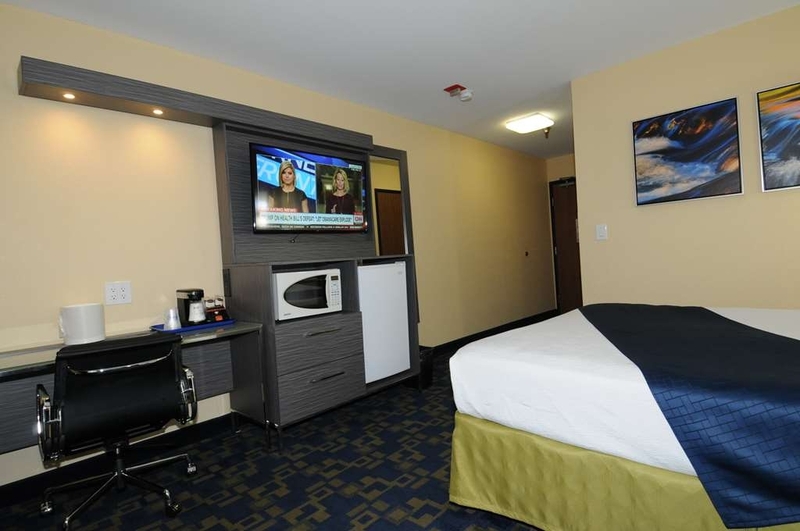 Overall, clean rooms and great customer service made for although a short but excellent stay. thank you for your glowing response. I am so happy to hear our employee was on point with you all. I will be sure to let Cordero know that he made an impact. Thank you for your business and review of our property. We appreciate you. "For the Price....this is it for Red Bluff CA"
As per usual for BW, the staff was wonderful and the breakfast convenient. The pool really stood out for traveling with kids, it's shallower and much better for playing and not so chilly. They made it easy to travel with our dog, too. Even though the temp was over 105 degrees the AC was not on in the room. When turned on, it smelled of mold. AC did not work well and it took a long time for the room to cool down. The front desk person was annoyingly long-winded asking for every detail about my car even though the lot was 1/4 full. I asked her for a room on the east side of the building so it would be cooler. My room was on the west. I asked for quiet, she put me next to the staircase. Breakfast was awful. I am a BW Diamond and travel weekly. I would drive an extra hundred miles not to stay here again. "Not ADA Compatable as Advertised"
Stayed in ADA room with advertised walk-in ADA shower in bathroom. That was the only good thing about the room! 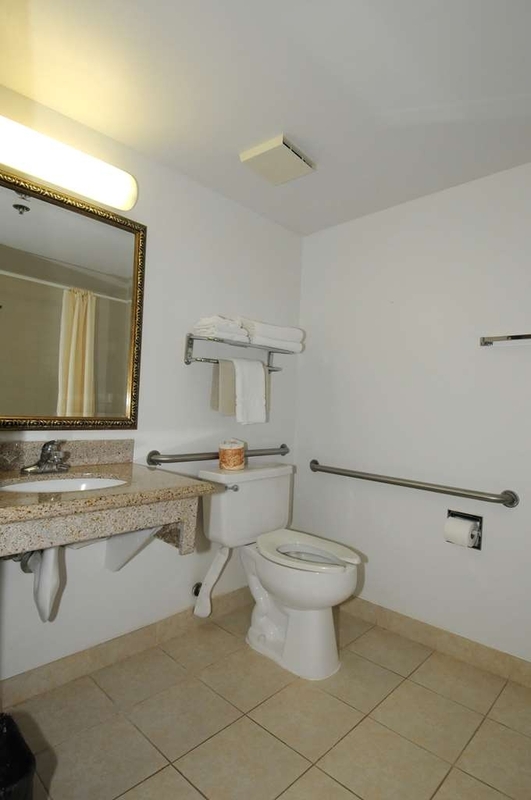 the room was extremely small and would not accommodate two people plus a wheelchair/walker. The room had only one chair, which was at a desk located under the television. The only seating was the bed. To use the closet, you had to open the doors outward and it was located at the foot of the bed. Couldn't use it if you was in a wheelchair. The breakfast area was too crowded for wheelchair use and the counters where too high to reach if in a wheelchair. The hotel is not ADA Compatable! 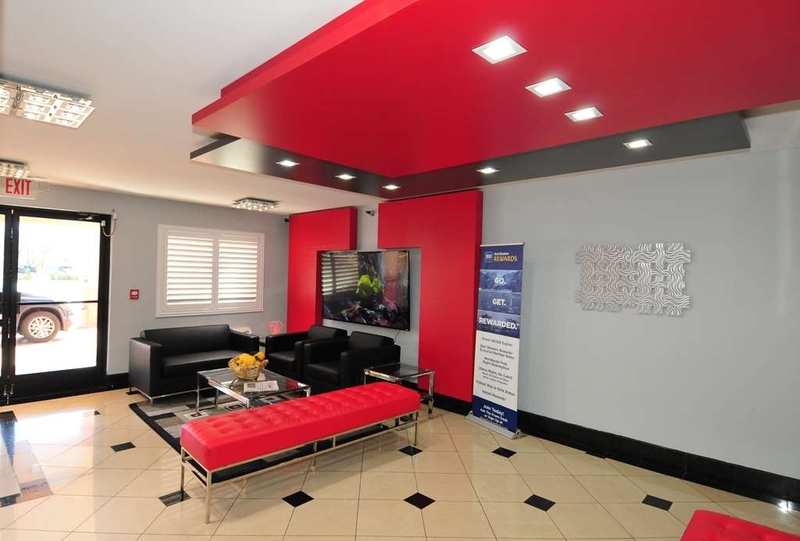 This 18 year old facility has been remodeled in a modern style and with expert taste. The room was realling functional and beautifully appointed. The excellence of the breakfast served kept pace with all the rest the lodging had to offer. "Nice to stay for a night"
We stayed here for only one night. When we got there to check in, it was 10 pm, and we check-out early in the morning. So we didn't stay long. We had breakfast there. It was like all other BW hotels, so nothing to complaint about . The staffs were nice . The room was clean. Overall it was nice stay. Hotel staff was excellent (Exceptionally friendly and courteous - I'm sorry I can't remember her name but she defused a situation between myself with an exceptionally rude guest and asked over the two days I was there with my brother about how the rooms were etc. ), room was clean, and the included breakfast was great. If I really HAD to post a disparaging comment it would be that the pillows were a bit too firm for my liking, but sure as hell not enough to keep me from returning if I was in the area again. Great hotel. Thank you so much for you wonderful review of our Hotel. We appreciate your time in reviewing our property and look forward to seeing you again. "Happy Stay for a Quick Weekend"
We recently stayed here for two nights while attending a family memorial service in town. I usually stay in a BW when making last minute reservations because they are usually pretty consistent. This was no different. We were happy with the room and facility. The pool we great since it was 100+ degrees both days we were there. We utilized the pool a lot. The continental breakfast was the usual that every other BW seems to have – cereals, oatmeal, waffle, yogurt, etc. If we are in Red Bluff again, we would definitely stay here for another visit. Easy to get to and right off the freeway. No complaints. Thank you so much for your wonderful review. We appreciate you and your business. We hope to see you back again soon. Pleasant & professional staff. Allowed us to use breakfast room so the 4 of us could play cards for a couple of hours, since it was so noisy in the pool area where we would have preferred...lots of disrespectful, rude, noisy children. The room was clean and comfortable even with 2 queen beds. The Aviary and Koi Pond was lovely. Everything worked well. We are truly sorry for the others at the pool area behavior. We are glad that we could find a solution to the problem by bringing you inside to play cards. We are grateful for your business and happy you enjoyed your stay with us. We hope to see you again in the near future. "Wet Floors - Cold food"
Well, my stay in my room was perfect; experience outside the room was very disappointing. I will return and give them another chance because between Santa Barbara and Oregon, this is the half way point for a good hotel. I am sure there are others probably better a little further away, but I like on and off the freeway. "Nice place after long day of driving!" We were headed to Olympic National Park in Washington and stayed here for one night. The room was very clean and nicely decorated. Breakfast was tasty! We were downstairs and we did not hear any noise from upstairs. Internet was good. The room was a little overpriced but we will stay here again. We were visiting Lassen National Park and the closer hotels were booked or had marginal reviews. This hotel was close to the freeway and maybe an hour from Lassen, but we liked the restaurant choices there as well (M&M was terrific.) Best Western is a steady bet and it was just as good as other Best Westerns. Not a good review from me. It was an okay hotel. No elevator. And for someone who needs a downstairs room it was hard getting up the stairs. To me it looked like a rundown hotel that Best Western took and tried to refurbish. To my way of thinking it was not a Best Western Plus hotel. I've stayed in many Plus Best Westerns & they are worth the price. "Great stay except for breakfast & coffee"
Stayed here one night - check in was easy and the front desk was awesome - made sure everything was good in our room and that we knew what services/amenities were available. The room looks newly decorated and was very nice. Bed was super comfy, along with a good selection of pillows. The pool felt great and there are plenty of places to eat and a gas station at the driveway. The koi pond and avairy were really neat too. The restaurant next door was a great place to eat! Only complaint was the breakfast (eggs were burned on the bottom and the sausages underdone) and the not very good in-room or at the dining room coffee (flavor not very good). Even so, would definitely return to this BW on future trips. We wanted a place to recharge after a long drive. Antelope Inn fit the bill. Newly redecorated room. We were impressed with the breakfast. they had actual cooked cereal, not just add hot water. Desk clerk gave us ideas about things to do in the area. We'll stay there again, definitely recommend. "Great value! 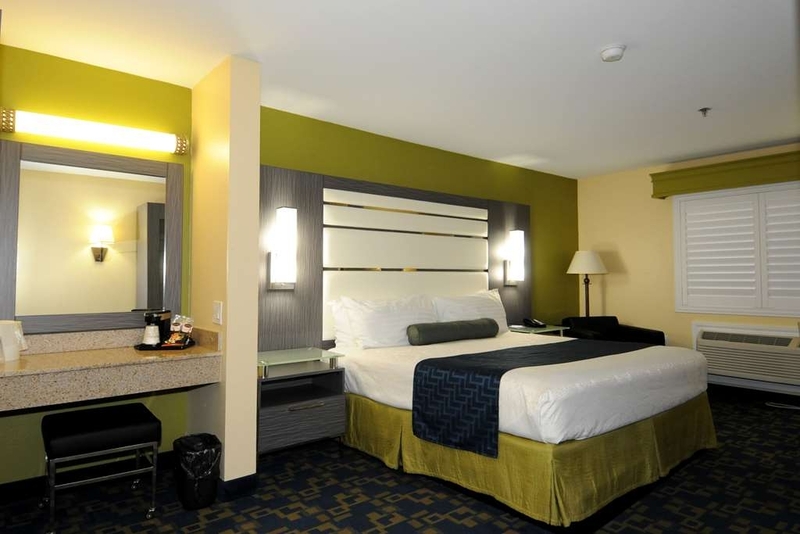 Best stay in the city!" Although there are less expensive options in the city, this is the best one and still incredibly reasonable. 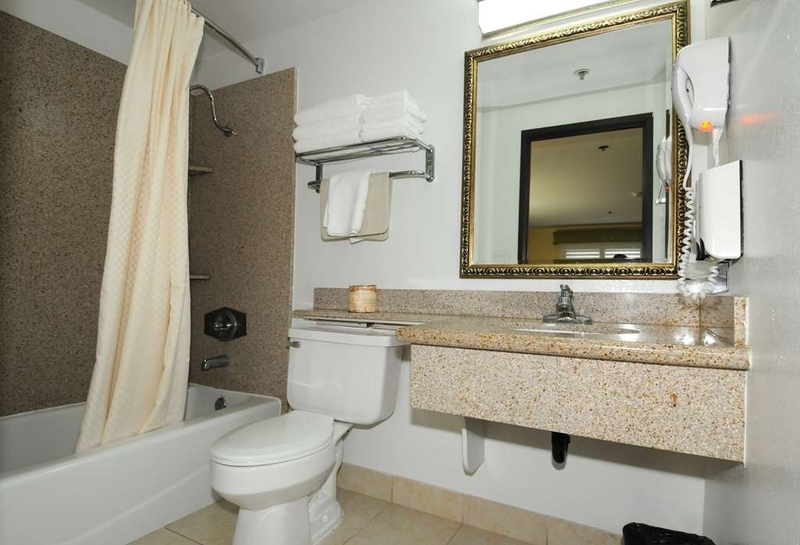 Very clean and great amenities. After a 9 hour drive, this was a breath of fresh air! We'll be back! Thank you for your review of our property and staff. I am sorry you were dissatisfied with your stay! I am not sure what happened in regards to your room assignment. I will be sure to look into this situation. I am truly sorry for the attitude of our staff. This should NEVER happen, and i will be sharing this information with those you mentioned in your review. Your satisfaction is important to us. I hope you will give us another chance to make it up to you by staying with us again. Best hotel we have stayed in based on value and cleanliness. Spacious room in the suite included standard desk, comfy chair with ottoman and a corner vanity sitting area. Hot Buffet breakfast included Egg/Sausage breakfast burrito, Hot oatmeal, waffle maker, and the other standard breakfast fare. 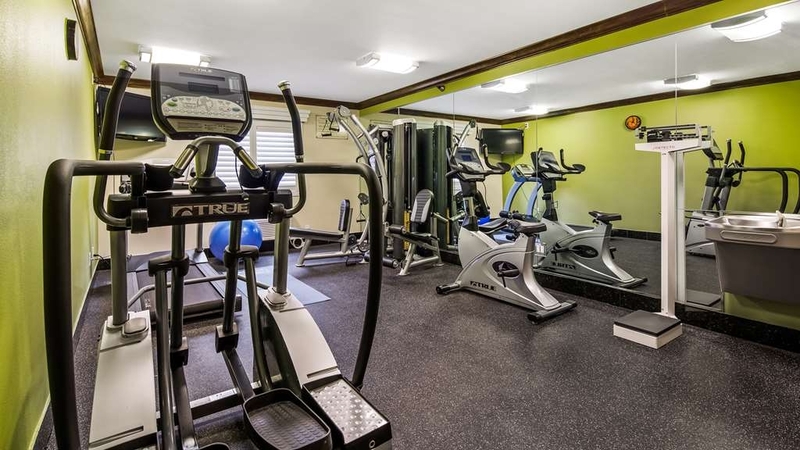 Small workout room and decent sized swimming pool. The freeway overpass is visible in the distance, but not too much disturbing freeway noise. The lobby, parking area, room, ice/machine were clean. 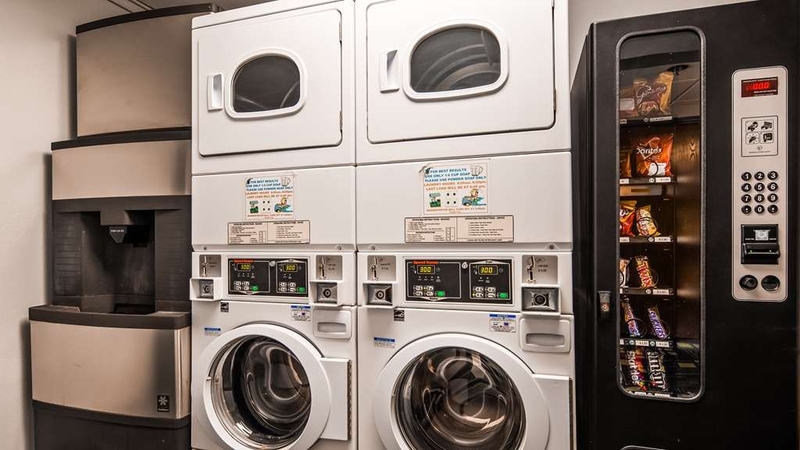 Laundry machines are available too! Local restaurants nearby--friendly and yummy eats.Worth the extra 45 minute drive after visiting Chico and stopover before hitting Lassen Park. Thank you for such a wonderful review of our property! We are pleased to hear you enjoyed your stay here with us! We appreciate your business and look forward to seeing you again soon. "Great hotel if traveling with small dogs, not good for large dogs"
Very small rooms and a high pet fee. Out of line with other Best Westerns, especially given the location. Great if you are traveling without pets. Convenient access to the freeway and ample pet area with grass at the edge of the property. We are sorry to hear that you were dissatisfied with your stay. We try to assure everyone enjoys their stay, but sometimes we do fall short. We appreciate your feedback and will bring it to the attention of the General manager. We hope you will stay with us in the future so we can have a chance to make it up to you. This was our second visit to this Best Western, it's a perfect stopping point if you're traveling to Oregon. The front office staff was very friendly and professional. The rooms was clean and spacious. 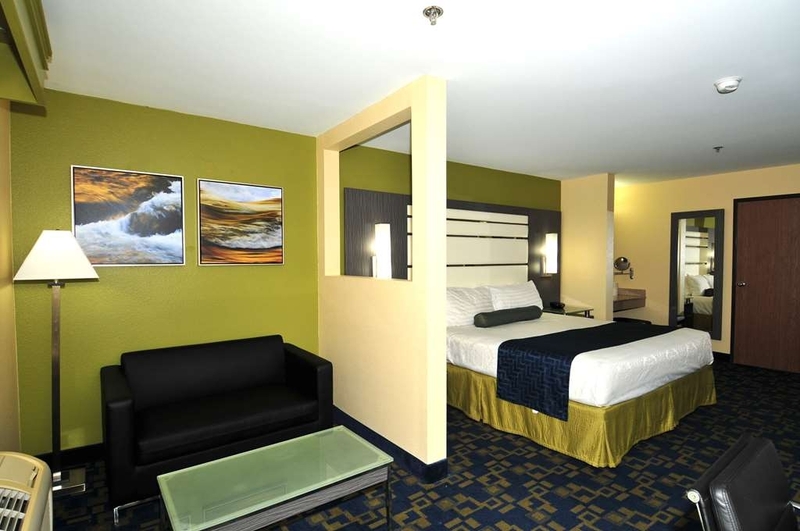 thank you for staying with us here at Best Western Antelope Inn. We appreciate your business and look forward to seeing you again in the near future. The hotel was recently renovated and had all new furniture. The parking lot was easily accessible and well lit. They even had parking for electric vehicles, to charge overnight. The staff was friendly and helpful. The pool was clean. The room was clean and fresh. The hotel was easy to find and in a good area. Thank you for your review and your visit here with us at Antelope Inn. We appreciate your business. We look forward to seeing you again in the near future! "107degrees we stay in the pool at the hotel." staff was friendly and courteous,best western antelope inn is updated there hotel lobby looks great. 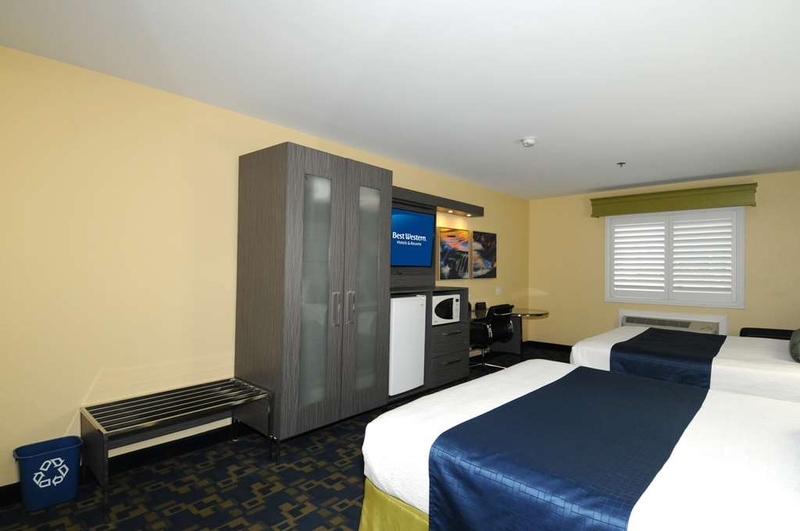 best western also updated the rooms great color scheme for the walls new tv, vanity two end tables and new Lighting. Breakfast staff friendly coffee,eggs,sausage,waffles,a good way to start the day. Thank you for staying with us, and we hope you will do so again should you be in the area. We know it can get especially hot in our area. So glad you made use of the pool and found a relaxing way to cool off. Thank you for your continued business and please be safe in your future travels. I was really happy with our stay at the Best Western Antelope Inn & Suites in Red Bluff, CA. My wife and I were on our way home from a business trip and stayed one night there. The hotel looks like any other Best Western on the outside but on the inside it is really nice. 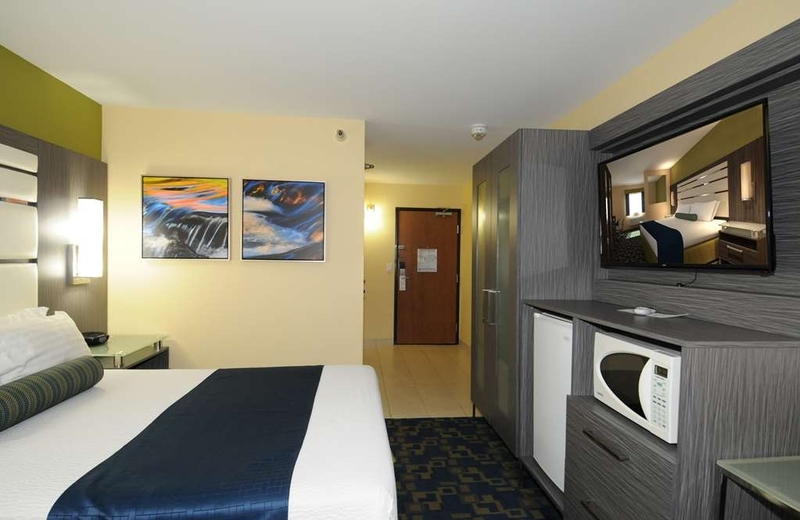 They had just completely remodeled it a couple of months before our stay and they did a really good job. The furniture, bed and overall decor was very nice and looked brand new still. There was a nice, big, brand new RCA flat screen TV on the wall that had full satellite service with many channels. Most hotels go with the minimum TV size and service, but not this one. Clearly the owner of this hotel had it's guests comfort in mind when they remodeled. On top of that there was a very nice woman behind the counter when we checked in who was a breath of fresh air. 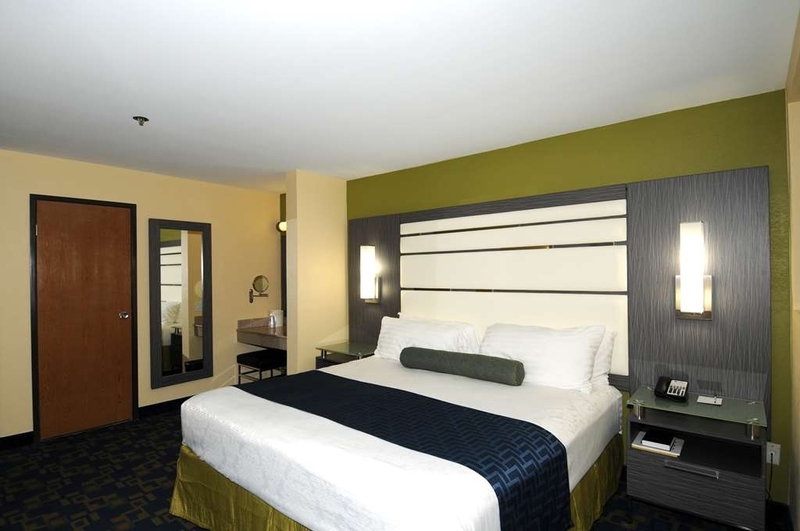 She was fast, efficient and gave us the EXACT type of room we requested with our notes during the reservation process. Thank you for staying with us, and we hope you will do so again should you be in the area. We appreciate you singing our praises on the room and decor. We hope all our guest enjoy their stay as much as you. Thank you for your continued business and please be safe in your future travels. "Cool room in Red Bluff"
On our trip to Oregon, we stopped in Red Bluff for the night. The temperature was 107 degrees, but our room was a cool 72! Our stay was great and we did not want to leave and go back out into the 90 degree weather at 7 in the morning. Thank you for staying with us, and we hope you will do so again should you be in the area. Thank you for your continued business and please be safe in your future travels. Been over a month on the road with my wife. Stopped here as a stepping stone to Redwood. Much nicer room than most any BW we've ever stayed at, and Sally at the front desk staff was superb. Great place to recharge and be comfortable. My husband and I checked in and were given a very nice king room which is clean and newly updated. My review is for Sally, the person who checked us in. Aside from her warm and welcoming personality, she went above and beyond in terms of customer service. We have been traveling cross country for over a month and this is the first time we were impressed enough to write a review based upon good service. Sally is the epitome of hospitality. This establishment is fortunate to have her. Thank you for staying with us, and we hope you will do so again should you be in the area. I will pass on the positive review and thank Sally for her expert customer service. Thank you for your continued business and please be safe in your future travels. "Very Nice Road Trip Stop"
My husband and I stopped here on a road trip to San Francisco. After a eleven hour drive it was a wonderful place to relax for the night. The staff was friendly and prompt, the room was very clean and the breakfast very good. The bed was a little soft for my taste, but considering all the positives: location, cleanliness, quiet, nearby restaurants and services, the bed was a minor issue. We will stay there again, as we make this trip frequently. Hotel was clean and the room was very comfortable. The breakfast was very good. The hotel offered ev charging and a very good location near the freeway. There where restaurants within walking distance. "Good place for an overnight stop." This is a fairly new property, nicely done. The rooms are very small, but well equipped and very clean. Front desk staff were most helpful. The bird aviary was fun to visit, and there are several restaurants in easy walking distance. This hotel is very personable and courteous and helped me with all my needs for my 86 year old mother. They have an aviary and carp pond that is very restful to look at. The pool is a nice size for a family. 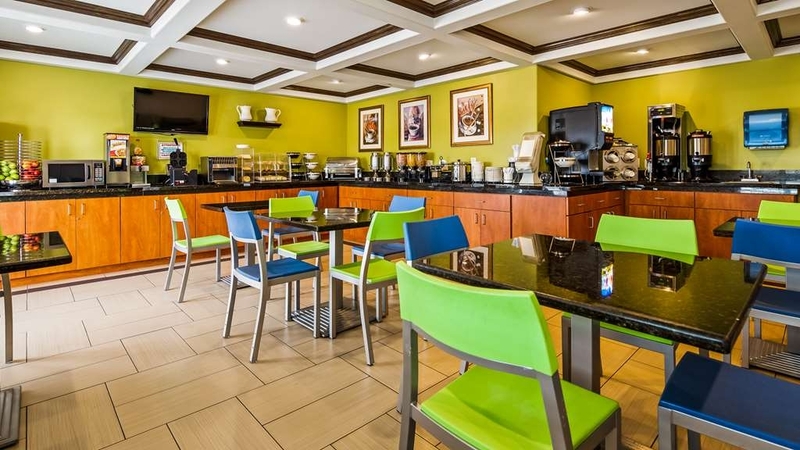 Although I do not have an electric car the hotel had 2 hook-ups.The breakfast area was bright and cheery with a large variety of choices. 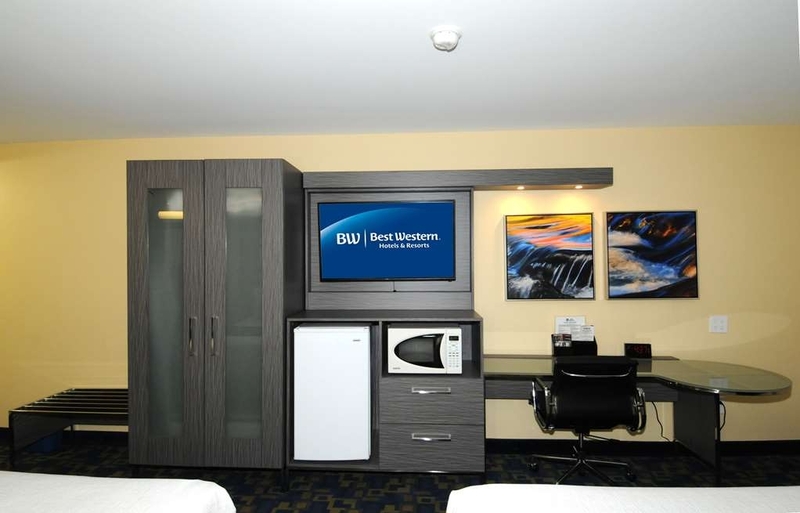 I wouldn't exactly call this a Best Western Plus. Having stayed at BW Plus in the past, I expected to have a few extras that go along with the Plus. Nothing noted. Lady that checked us in didn't seem to be enjoying her job and acted like it was an imposition to answer some questions. Wanted to talk about having just returned from her trip to the coast. Usually the bedding is a little more upgraded and a bit more attention paid to comfort. Overall found it kind of dated. Bathroom was right at entrance of room. When trying to use the very small bathroom, I had to hide every time husband left or entered the room. Dog friendly, but pet area is not close by. A hike across the parking lot (it is very large) when there is plenty of grassy area adjacent to hotel. Last but not least....Someone is controlling the air conditioning other than yourself. Sometime during the night, the room became unbearably hot. Spoke to other guests that morning and they had the same complaint. Hallways and lobby followed suit. If you like to sweat, this place is right up your alley. "Clean but needed some updates"
Needing some reno. Tiny bathroom was right in front of the entry door. A/C unit was on its last leg. Rooms very hot. Beds were very springy. Long, long walk to the dog area. Disappointed. Overall not up to a Best Western Plus standards. "Unexpected high quality and great service"
We stopped here on the way from Seattle to SF Bay area. Adjacent to I-5. Everything went well, the rooms clean and comfortable, everything working. The staff were very helpful. Good restaurant next door. For the price, this hotel can't be beat. "Great staff and well kept rooms"
Excellent staff at check in and check out, very helpful. Room amenities were very good, plenty of plug ins plus a charging station for any device, Apple or Android. Quiet but not far from freeway. Restaurant on site. 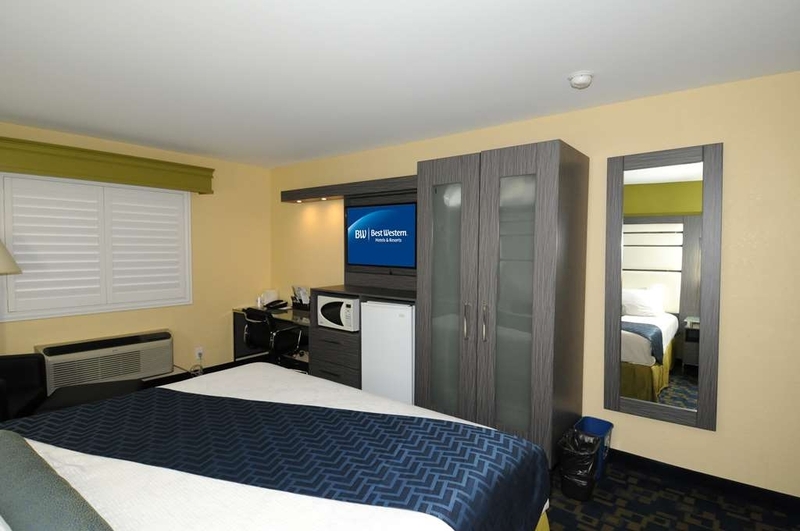 You can always count on Best Western to have clean rooms and premises. The employees are friendly and courteous. The beds are comfortable and the food is delicious. If there is any problem, it is taken care of efficiently and post haste. Best Western is my go to place when on the road because of the aforementioned and I know I'm safe. Real cooked oatmeal was good; a treat. An aviary and a koi pond are unusual, and a pleasant diversion in an otherwise normal chain motel. Staff was pleasant, overall quiet enough. We would stay here again. But I wish there were a way to prop the doors open! 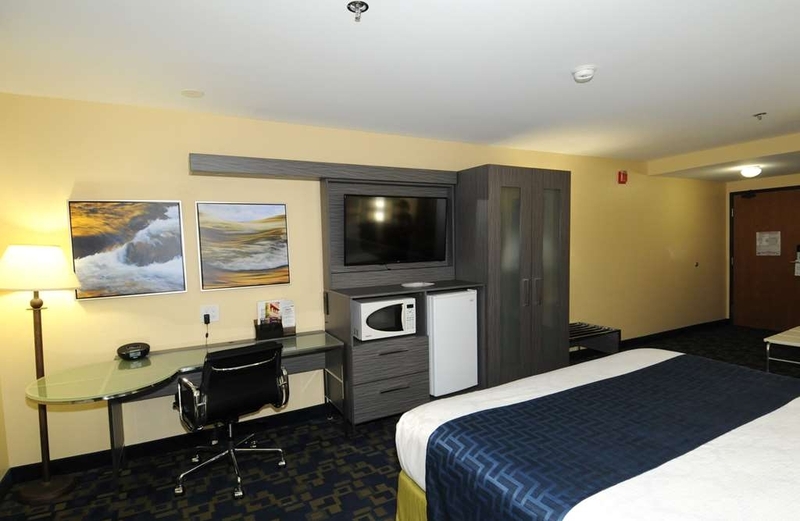 "Great stay for the Rodeo"
Conveniently located to rodeo grounds, restaurants, and grocery stores to stock up on drinks. Just a quick trip over the river into historic and quaint downtown Red Bluff for shopping. Loved our stay! My mother and I enjoyed a one night stay here while passing through Red Bluff. It was a nice stay. The room we had had recently been redecorated. It wasn't swimming weather, but the pool looked crystal clean and very inviting. The breakfast was wonderful, and the breakfast room was nice and clean. Every staff member was welcoming and kind. The only suggestion I offer is that the carpet in the room was quite dirty and really beat. There was a hole about 2" in diameter at the door. It was quiet, bed is very good; I slept well. I stayed here for just one night on a business trip and have no complaints. The hotel is a little older but the staff was extremely friendly and helpful and there were eating and drinking establishments within easy walking distance - very convenient. Overall a very pleasant experience. The staff was very friendly and the rooms were clean. They have two buildings with rooms in them. One building is set up for pets and the other one was pet free. We got a pet free room and it was very nice. We would stay here again. I live locally but due to a storm, I was without water service. I called the hotel and was welcomed to a very early check in. The staff was so understanding. I always stay at Best Western when one is available during my travels. I know that the quality and cleanliness are always up to high standards. Excellent location with entertaining fish and staff. Well maintained with clean rooms and dining area. Easy to get on and off freeway from here. The fitness facility was small but adequate for a good exercise session. Lobby was a mess and difficult to check in. Rooms were okay but nothing out of the ordinary. The morning Desk Person was very nice and accommodating. Pretty much you'd expect while staying in Red Bluff. We have stayed at this hotel many times over the past few years. It is clean and comfortable. The employees are helpful and pleasant. The breakfast selections are very good. Love the waffle maker! A nice place to stay. "Our first time staying at this hotel." Our room was quiet, good beds, beautiful decor--recently redone. The staff was very friendly and the breakfast was excellent--sausage, eggs, toast, juice, fruit, many other choices and very good coffee. We will definitely try to stay there again, plus it was right across the street from our favorite restaurant, Applebee's. The staff was great. The room was great. Everything was great. We went out and got a meal to go and when I got back we didn't have enough silverware. I asked the desk clerk and she not only provided the additional silverware, but offered us plates as well. What a great person. 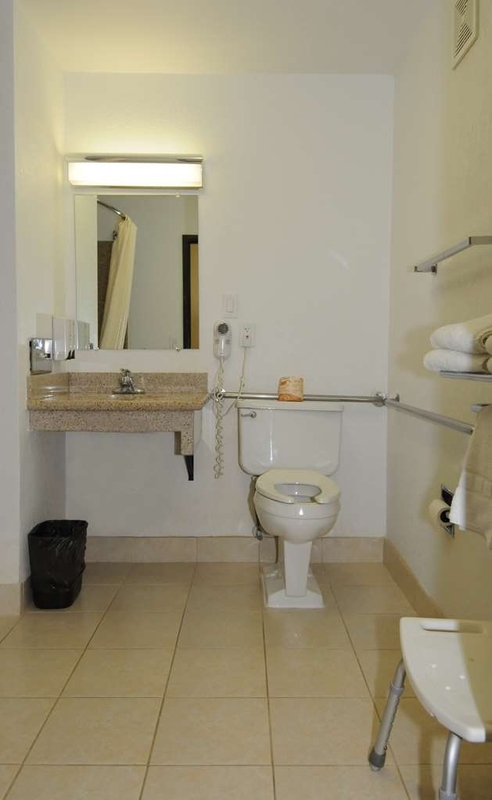 I have never been disappointed with the facilities or staff at the Antelope Inn. We have been using this site for several years now. The location is near the Interstate with easy on and off. You receive a 10% discount at the family restaurant next door and there are major brand gas stations nearby. "Best Western in Red Bluff, CA"
We have stayed at this property several times. 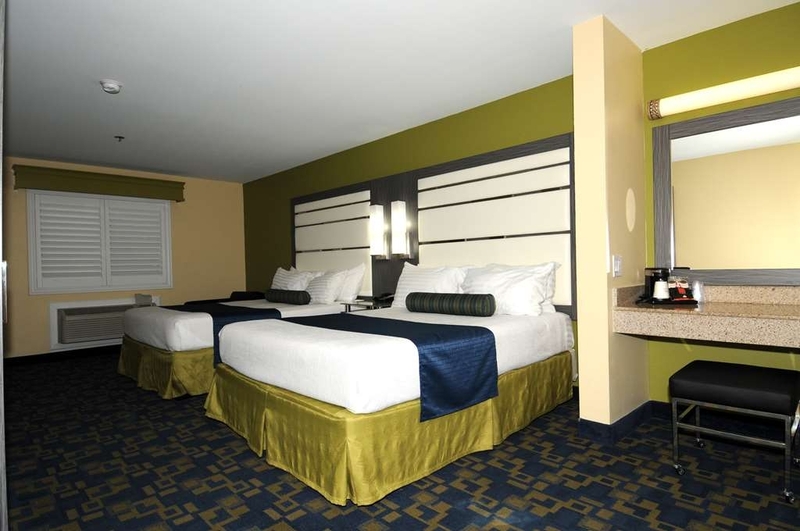 We find the rooms fine and the staff very professional, courteous, and helpful. There is also a small pool with koi and an enclosure with many parakeets. They provide a fun addition to the motel. It is a good bargain especially when compared to other towns nearby. "Great except for one thing"
Terrific hotel in almost every way: nice decor, nice staff, nice room. They have two wonderful elements: an aviary and a koi pond. Those are totally delightful. The one big problem: the so-called high speed wifi was more like dial-up. It was hideously slow. If you need good internet service, you'll be in trouble here. The Motel was very nice. Breakfast had many items to choose from. Rooms were clean and large. The Wi-Fi was not secure so some apps were not opened. 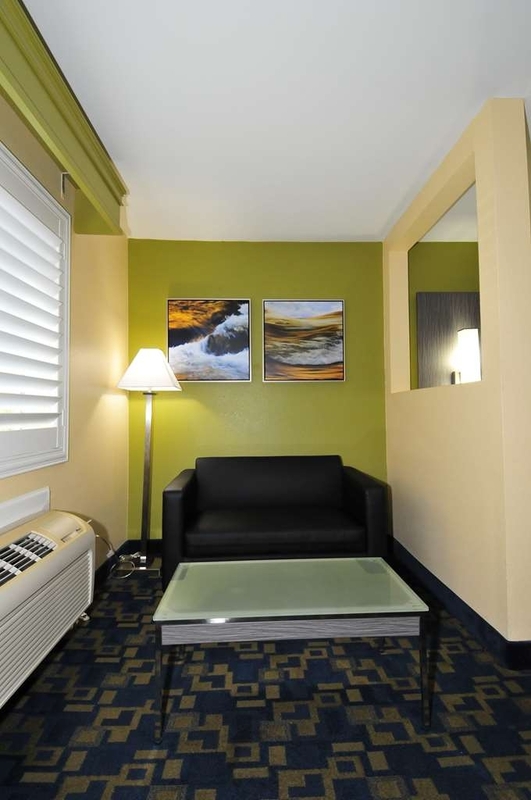 Easy to find off the freeway, walking distance to eating meals, comfortable beds. Overall a very nice property. we stayed just one night on our way to vacation. Everything was clean, the bed comfy and the staff really nice. the walls were very thin and we could hear a dog in the building barking a lot, doors shutting and some talking. Our room was downstairs .The pool looked nice but we did not use it. Breakfast at the hotel was good. it is next door to McDonalds. We arrived pretty late but received a friendly welcome. The room was clean and large. All the facilities were easy to use. There was a coffee machine with only one sachet of coffee and another of decaf. Being Brits we had our tea bags with us and managed to make tea in it! The staff at breakfast were friendly and the waffle maker was great. We would stay again if passing but would not detour to come back. The entire place is in top shape! TV, refrig. microwave, java maker, Free W-Fi. Cont. bkfst. Fitness rm. impeccable pool area, wi a handicap lift!! Beautiful collection of HUGE coi fish. Walk to cafe. We spent two nights at this propert Our room was a mini-suite, with a separate sitting area that had a couch and coffee table, plus two side chairs and a regular table in addition to the microwave and fridge. A really nice setup. As all travelers know, the devil is in the details, however. The king size bed was comfortable, but the pillows were dead. Our room had a 'scent' that was hard to pin down and eliminate - could have been from the carpet or the a/c unit. We notified the desk, and were told it would be taken care of, but whatever they did, did not make a difference. The pool is a welcome oasis when the weather is really hot as it can be in the valley. 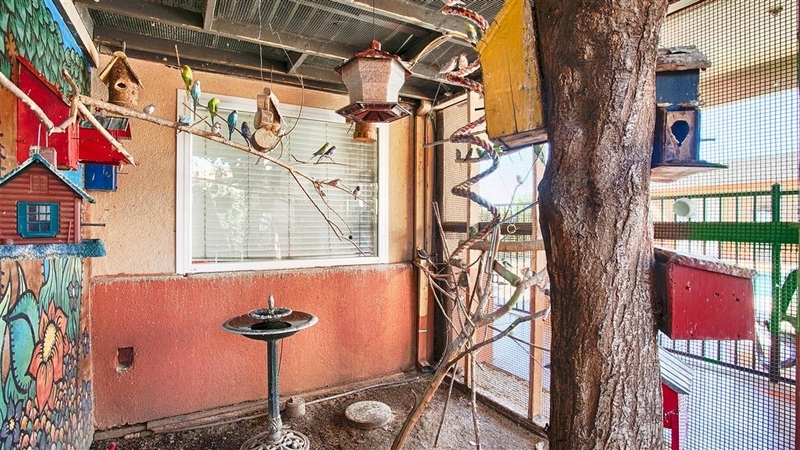 Also, the property has many rose bushes, a large cage with parakeets and a koi pond! If you stay here, see if you can get some newer pillows. Great place with friendly and accommodating staff. Will stay here every time I am in the area. Jayu Bhavan, the general manager was very helpful and provides an extremely comfortable and clean place to stay. 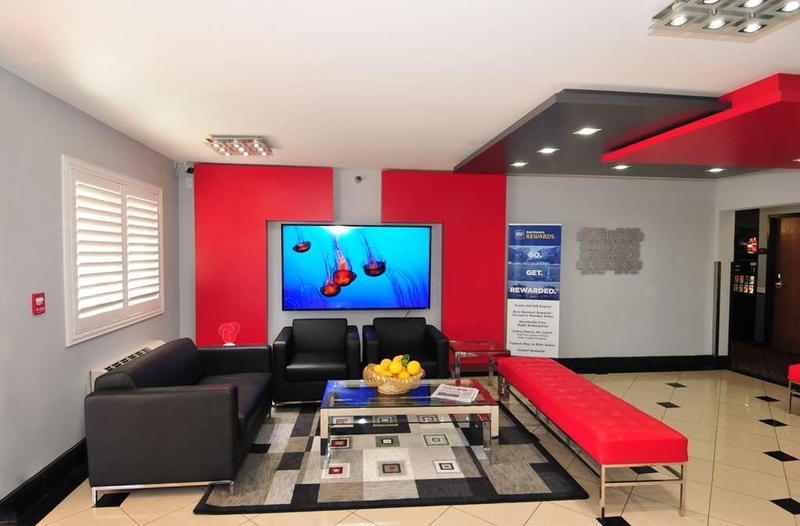 The location is convenient to everything in the area and is right next to the highways and dining. The room is average, although it gets points for being clean. 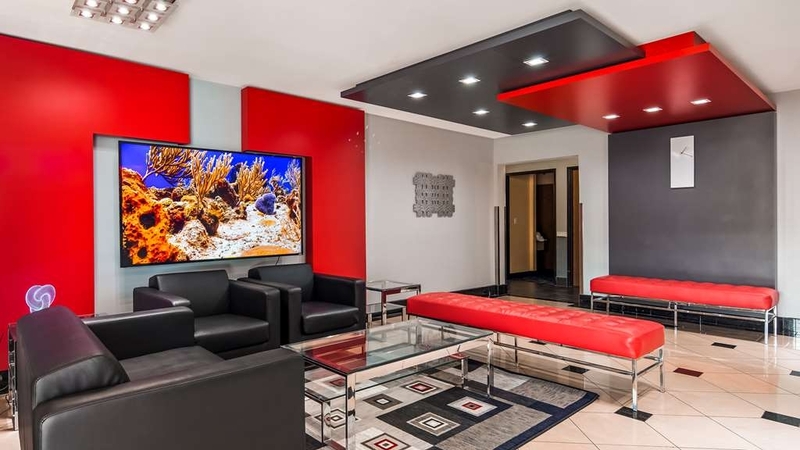 The decor is average, the amenities are average. There is no elevator so be prepared to heft your luggage upstairs yourself if you are assigned a second floor room as there is no one to help you. Breakfast offerings are average. AC just barely works so again, average. Nothing really bad but nothing really stands out. If I had a choice, would keep moving until I find something better. "Good Place to stop by." We stayed here while coming back from Crater lake. it's Good, clean place for family and friends. Good breakfast to recharge you for next day. nice pool and Small gym for quick workout. Overall we enjoyed here. This is a plus BW in my opine. 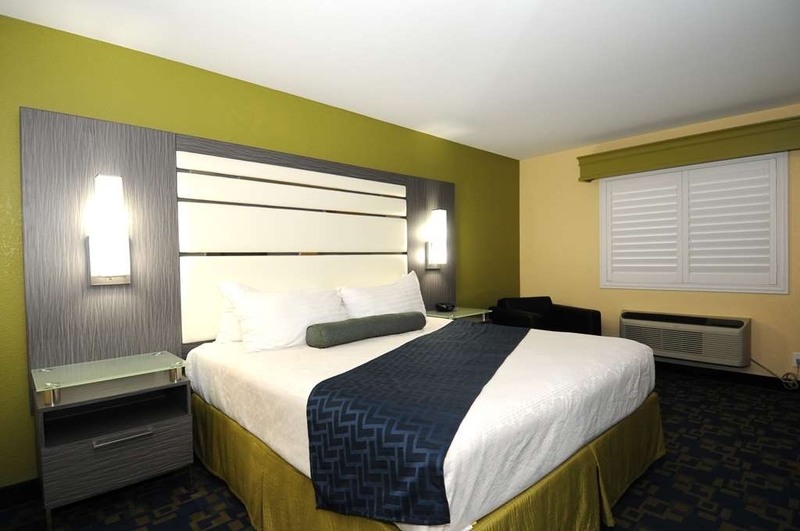 Great staff, great value, comfy king bed, good breakfast! Awesome pool area, aviary, shade if need be! Koi pond,resident loving kitty I named Smokey...duh!! Neat little wish well water works ! Would stay here again and again!!? ?An elevator would elevate status to a"plus" property I was told! "Very good but we stil are disappointed." 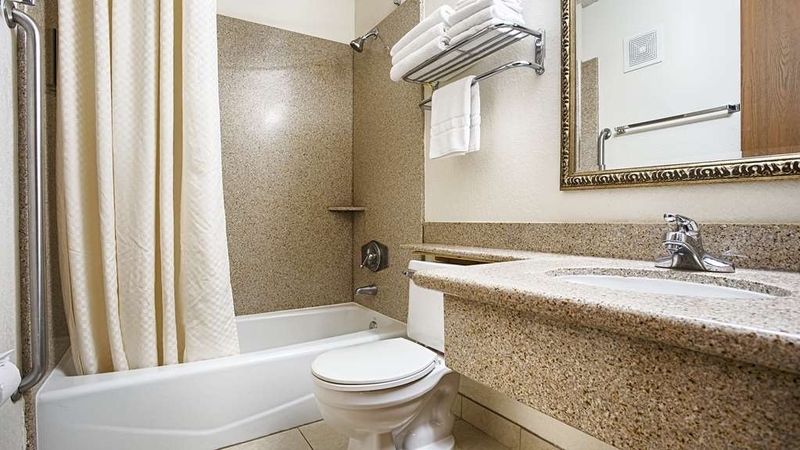 We went with this hotel because it promised real deep soaking tubs. It is something that you don't see that often in the USA. 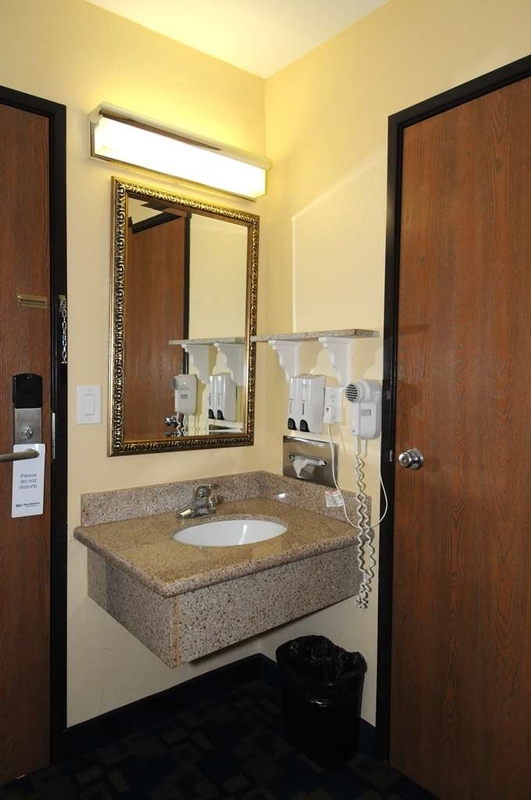 By arival we got the room for invalids with support grips and the regular tub/shower combo. Husband went to the incheck service, they couldn't do anything because the hotel was full. Beds and towels and room are good and clean. No complains except that " importend" One for me. Not coming back. Everyone was courteous, efficient and professional. the breakfast was as expected. some hotels load up on carbohydrates, there was a good choice of protien at the breakfast room. Can't ask for anything more. I would definately stay there again. Nice hotel for an overnight. My toddler son loved seeing the birds and the koi fish. I didn't get a chance to dip in the pool, but it looked welcoming. 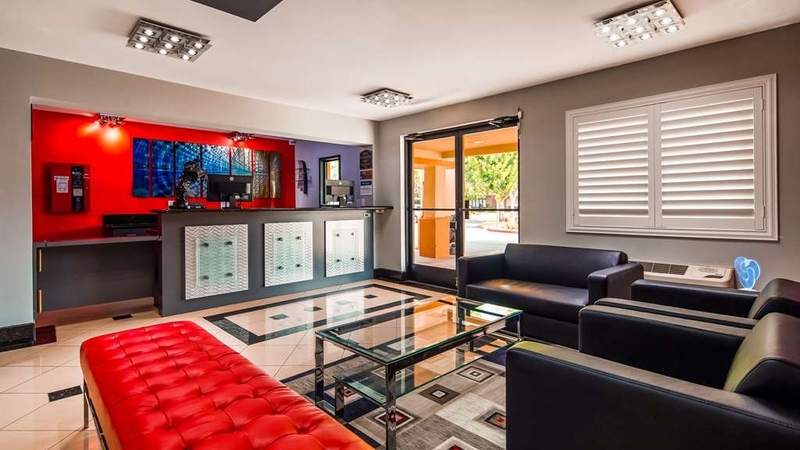 The location is ideal, right off the freeway, and there is a restaurant that is separate from the hotel in the same parking lot. Its fantastic for family meals, and just right while traveling on the road. There was a time with Best Western what kind of a place you were going to get depended on how lucky you felt. It might be good or bad. In recent years I've had better luck with them and really liked this one. Wi-Fi looked good, room was spacious and clean, everything worked and the self serve laundry was in good order. There's gas and food within walking distance including Starbucks. I liked the place and would stay again. 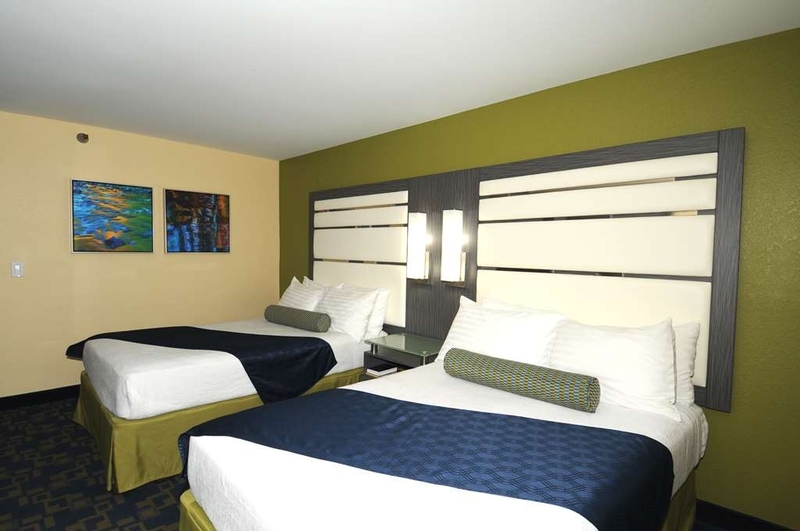 "Koi pond and aviary are nice additions"
The hotel is a standard place that you expect with a Best Western. Clean beds, helpful staff and a good breakfast. I really enjoyed the small Koi pond and aviary that this hotel has. They aren't the biggest features but the animals are healthy and well cared for. It was strangely soothing to "talk to the bird and fish" while staying there. Room was spacious, clean and modern and the bed was great. I slept very well. The wi-fi however, was pretty much unusable in room 161. Had to go over to the nearby Starbucks to get online. For around $100 a night I believe you should get a quality wi-fi connection. As a result I only rated it a 3. Would've easily been a 4 if the wi-fi were any good. Hello, we have stayed here twice now and both times have been wonderful. The staff is so friendly and funny. Even at 5am. We will be staying again. The room was comfortable and even had a new fridge and microwave, the coffee pot was a plus. The bathroom remodel was done well and is great. "Great service, very comfortable newer motel." All of the staff at the Red Bluff Antelope Inn were very courteous, helpful and caring. Motel was recently remodeled, very clean, comfortable and quiet. Price was reasonable for a recently upgraded motel. Very nice outdoor pool. They also welcomed our small dog and provided a nice grass area for pets. Also had refrig. and microwave. Will definitely stay here again. 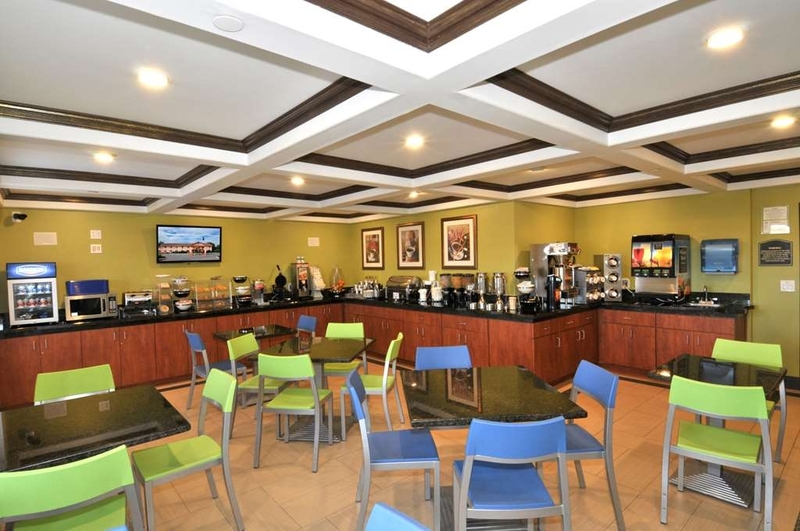 "Perfect Location and Awesome Breakfast"
The staff at the hotel were amazing. Our room was close to the pool and close to the laundry room. Breakfast was plentiful and delicious. We really enjoy staying at Best Western properties. I was able to swim later than the normal closing time which was so refreshing after a long day of travel. I had the pool to myself. It has the neatest lights that change color. There's a coi pond and a bird aviary. It was a neat place to stay. Tired after driving for hours, we happened upon this wonderful hotel. Cute, clean pool. Lovely touches such as koi pond and parakeet aviary. Breakfast had a nice selection of warm and cold items. 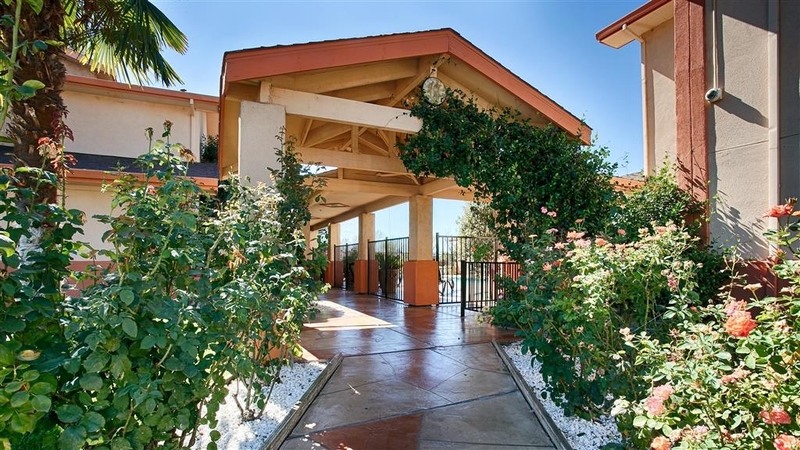 Right off I-5 and within walking distance of several local and chain restaurants including Starbucks. Clean room with nice towels. Would definitely stay here again. EV charging station in parking lot, too! 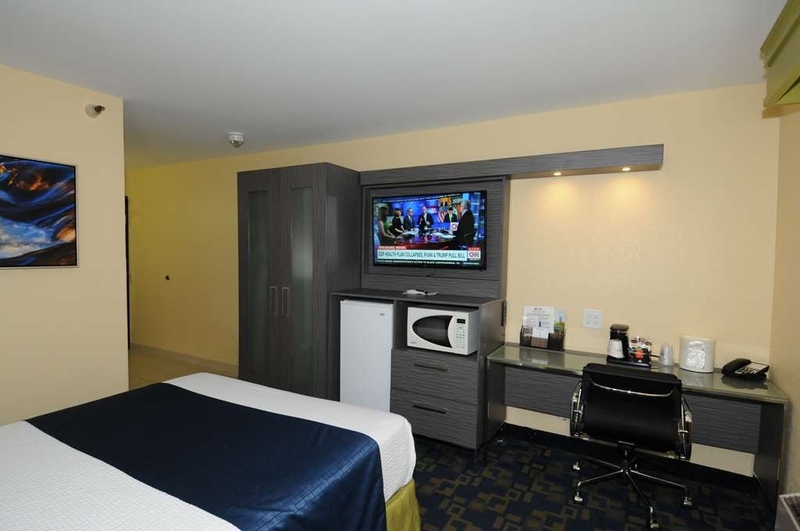 Clean spacious room with all amenities. Great overnight stop. Love the aviary! Decent restaurant next door for dinner (Rockin R). Very friendly staff. Nice looking pool. Great for what it is-- good night's sleep stopover. Had all comforts and upgraded furniture and bathroom. Excellent value. However breakfast was typical of hotels like this. Continental plus. If you have time Go next door to Rockin R for a real breakfast. "Most comfortable bed and an aviary & koi pond!" This is a delightful hotel! I so loved watching the birds in the aviary and listening to them sing in the morning. And the koi pond is a beautiful treat! The room was super quiet and the bed was absolutely superb! One of the most comfortable hotel beds I've ever slept in. Very clean, nice grounds, wonderful & helpful staff. Rooms could use updating, our King room was on the small side. Well lit parking lot, convenient to freeway but very quiet. We would stay again on a trip down the I-5. Dear Cabsare: Thank you for coming to stay with us at our hotel. 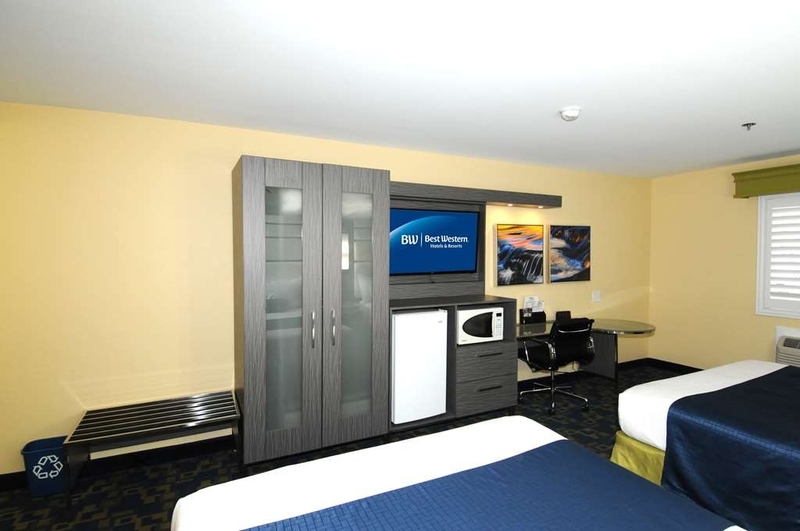 We are happy to see that you enjoyed our hotel overall, even if the room was a little small for you. We hope that the highway being near us did prove convenient for you and we look forward to having you with us again! We stayed using rewards points, which was very nice. I don't know why this isn't more common: the breakfast featured roll-your-own breakfast burritos, and they were great! This hotel hits the value sweet spot. The hotel was quiet and clean. The pool area was inviting. There is a koi pond. There was a wait to check in as there was only one staff person on. However, she was very nice and helpful. Complementary breakfast. Breakfast area a bit cramped but it does have an outdoor seating area. Welcome on a very hot day, air was on in room already. Thepool was cool and inviting. Sally at the front desk was helpful and let us park our motorcycle in a reserved area very near the desk/ lobby door. Nice place with a friendly and accommodating staff. Good free breakfast and within walking distance of a restaurant, the Rocking R. Excellent place for a good night's sleep. My wife and I will stop and spend the night here again on our way back south. 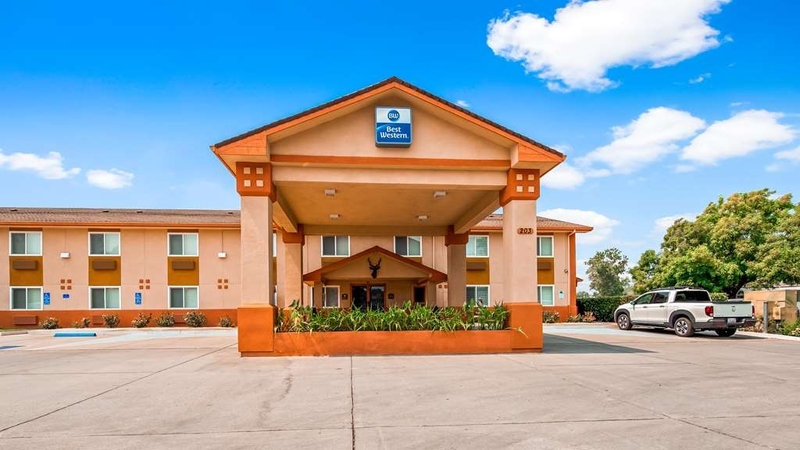 Traveling between Seattle and Phoenix I picked a stop in between, called the Antelope Inn Best Western in Red Bluff, CA. It was well run, the beds firm, rooms clean and well maintained. They also had a terrific restaurant next door where you can get a ten percent discount by staying at the hotel. It was easy in and out from the interstate. They also have great coy pond and small bird santuary on site. "nice place.. clean.. free breakfast"
"Very nice place in Red Bluff"
This was a very nice place to stay in Red Bluff. The amenities were very nice, the continental breakfast in the morning was very good, with plenty of choices. I enjoy the koi pond and the aviary, they were nice touches. The staff was very courteous and helpful during our visit, and help with questions about the area. I will stay here again if the opportunity arises. Great staff makes this place stand out. Elizabeht and Andrea are tops! Nice room, on the small side. Clean! Hot breakfast was good. Most of all a comfy clean bed and ahhhh quiet! Lots of food places near by! Skip the fast food and go to Applebees across the street! Nice place, friendly staff, good-enough breakfast, very clean, no bugs, good air, loud air-conditioner (but what can be done?). When a long-stay guest spoke with the concierge (as my wife awaited service), he was offered and accepted an up-grade in the "new building" and expressed his gratitude. We were traveling and it was late, I called this hotel and Karl answered the phone. He was pleasant and helpful and took care of our needs right away. Definitely will stay here again if traveling through that area. It was clean and the breakfast was great. Stayed one night and it was great! It was clean and quiet. Beds and pillows were comfy. The wifi worked great! The only thing I found that could use improvement was the sound of the fan when heater/AC was in use. It was too loud, which meant the tv had to be turned up and down some. The birds and the koi pond were a hit with my toddler. We even saw some lizards! What a surprise to see a pool of koi and an aviary full of parakeets, finches, and three cockatiels! There is a nice pool area. Rooms are clean and quiet. Two doubles did make our room quite crowded. But it was doable. The breakfast was ok. Although the eggs were the liquid type which makes them barely edible if at all. And the sausage was only lightly browned. But at least they weren't dried out as is sometimes the case. There were lovely roses in bloom too. We enjoyed our walk in the downtown. Very quaint. 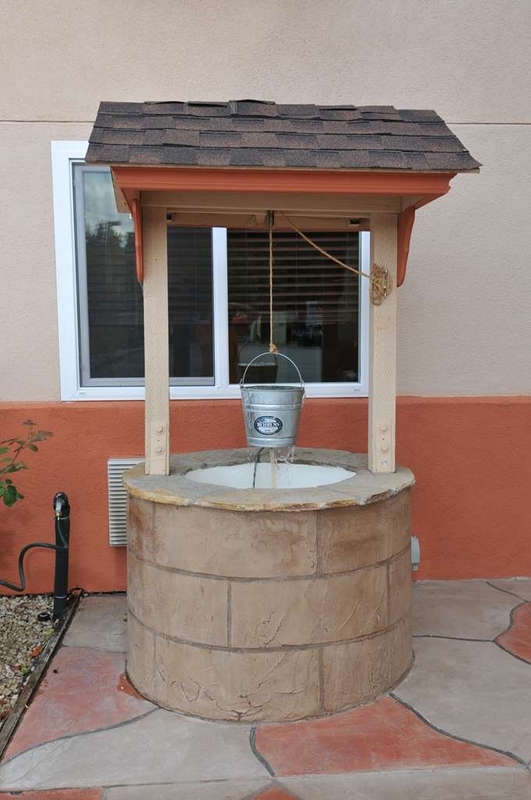 Great motel with the extras of Koi and Aviary and beautiful roses around the property. Places to walk the dogs and bags to pick up after them. Rooms were spacious and clean. Large screen tv and cable. Internet available. Clean room, fun avary with a variety of birds. Breakfast was nice and filling. Personnel very kind. Many restaurants near by. Did not hear foot steps or televisions from other rooms. Check out was quick and easy. "Give this one a miss"
A very tried place that has little to redeem except its location and agreeable staff. The hotel needs to be updated. The check in guy was nice enough and I know he meant well. However the room had a musty odor, the halls were not particularly clean, and the whole place was very dated. Pretty weary looking spot. I expected more from a Best Western. "Best Western Antelope Inn Red Bluff CA"
I stay at A LOT of BW's, and this was truly the worst one I have ever stayed in. Rooms VERY small and the bathroom vanity and toilet were SERIOUSLY way too small. They are so low to the ground that if you are over 5 feet, you'll have problems brushing your teeth!!! Comfort Inn is right across the parking lot. Next time I will stay there. Very good customer service and pleasant, clean pet-friendly room. We drove 1300 miles in 2 days so arrived very late. We always use Best Western because they are pet friendly. This hotel seemed higher priced for the room and also the pet fee. Would have been labeled very good except for the next night spent at the Best Western Airport in Reno - which was amazing. No complaints. Good continental breakfast. Close to fast food restaurants. Centrally located. Pet friendly. Good alternative to imposing on friends. Will definitely use again if need be. Appreciated the WiFi. "Excellent half-way point north and south"
Very comfortable rooms, excellent WiFi, and a convenient updated breakfast room. For those who want to exercise there is a large new room for that will many pieces of equipment. My young son calls this the best breakfast ever. Well, he exaggerates but it is well stocked and easy on the pocket book which is unusual in California. This hotel is very close to I-5 yet far enough to not hear the noise. The hotel staff is always very attentive and makes sure our stay is comfortable. With the new breakfast room it makes it easy to get a good start on the following day. The staff is wonderful, and area is great. I know you will enjoy your stay here.. Restraunts across the street.Also near casinos. Beautiful scenery. Quaint downtown area. Shopping and old style buildings. Makes me wish I could live there. Very Interesting find along the I-5 on my way to Cederville, CA. The Koi Pond and the aviary of what I think are parakeets, was fascinating. So cute but the weather was cold. I slept well except for the noise coming from the room next door but I went to bed early. I had to leave early to make it to Thanksgiving dinner at my friend's ranch. Slept very well, extra pillows and bedding in room. No noises were heard from other rooms or hallway during my stay. Breakfast was nice had a hot waffle maker and hot eggs and sausage links. Had fruit and yogurt and cereals to eat. I am always impressed by the breakfast, room and staff when I stay at the Antelope Inn in Red Bluff, California The exercise room is very nice, however having an outlet for water would be helpful. The only thing that is missing is providing a USA Today for guests. "Perfect for an overnight stay." 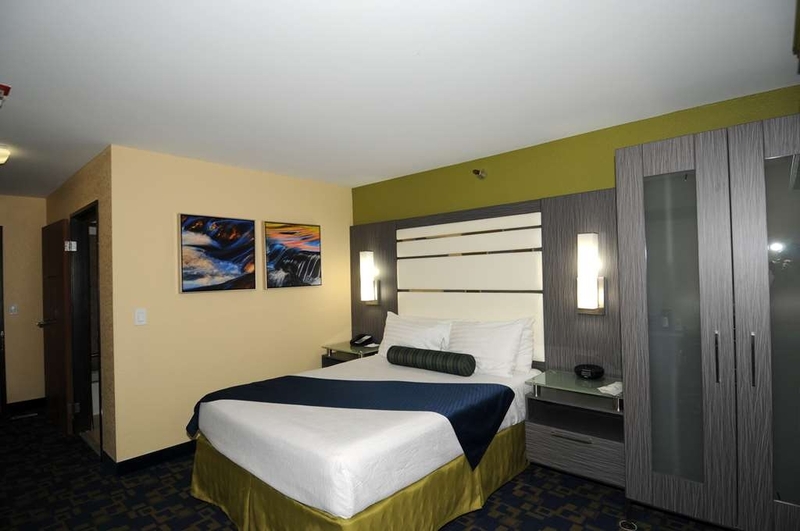 Very comfortable room and convenient parking. Quiet, extremely cozy bed, all the amenities we needed. We travel with a dog, so enjoyed the proximity of dog area. Property was nicely landscaped and entire property appeared well maintained. Good customer service and liked the towels to clean our car windows. Thank you. The management and staff definitely demonstrated their interest in the experience of their guests. Would definitely stay there again. This is a well maintained property with friendly, service oriented staff. Breakfast room is a little cramped but the food options are better than most other stays. WiFi access is a little tricky, but staff was helpful in providing instructions. Overall, a good value! Best Hotel in Red Bluff. Value for the room was outstanding. The coy pond was pretty cool. Breakfast was standard. Parking was Excellent. now i have to fill up the rest of this space with at least 200 characters for trip advisor, so here it is. 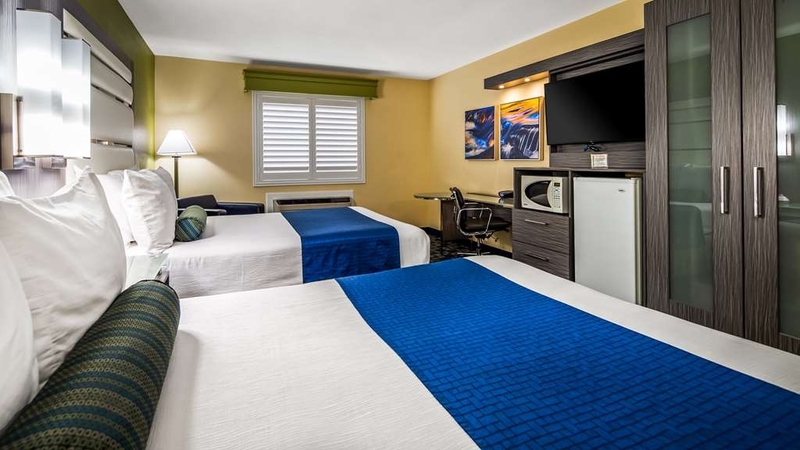 "perfect for a trip to lassen national park"
This was a perfect stay. I'm not sure if I've seen a better outfitted Best Western. The service was friendly and check in and check out was easy. This was the location we picked, in Red Bluff, to be close to Lassen National Park. I believe it was about half an hours drive from the hotel to the park entrance. And it was reasonably priced. It was a pet friendly hotel, although I wouldn't have guessed it by the condition of the room. It was clean and spotless, no pet stains, and I didn't have any problems with my allergies. They had electric car charging stations, and a basket in the lobby with clean rags and a bottle of solution to wipe down your car with. Thoughtful since this would be a location for road trips and the car would be all bug splattered. They have a pool, which we didn't use, and a complimentary breakfast, which was great. The breakfast was waffles, sausages, eggs, bacon, cereal, hard boiled eggs, yogurt and bread items. The room was very clean and not outdated. The bathroom had dispensers for soap and lotion at the sink and shampoo, body wash and conditioner in the shower. Convenient to not have to use those little bottles. There was an hdtv with plenty of cable channels, beyond basic cable. All in all, this was a lovely stay and when we go back to lassen volcanic national park, we will definitely stay here again. "Great Place for a Very Reasonable Price"
Friendly staff, decent breakfast, pet-friendly. 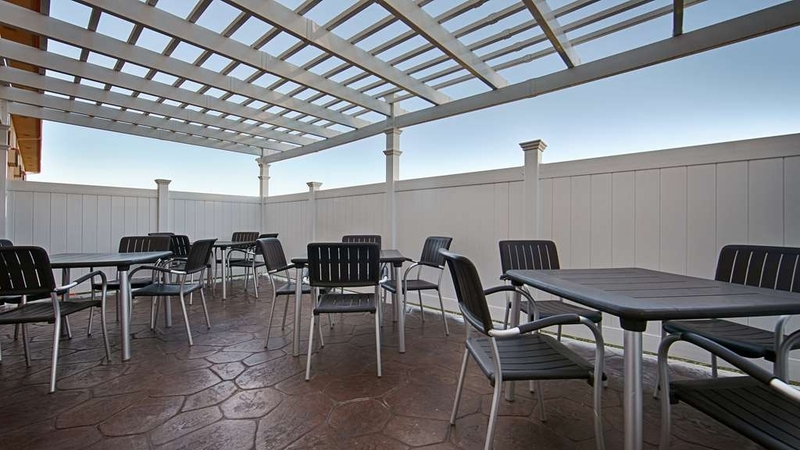 Convenient access to freeway and restaurants. We have stayed multiple times and never been disappointed. 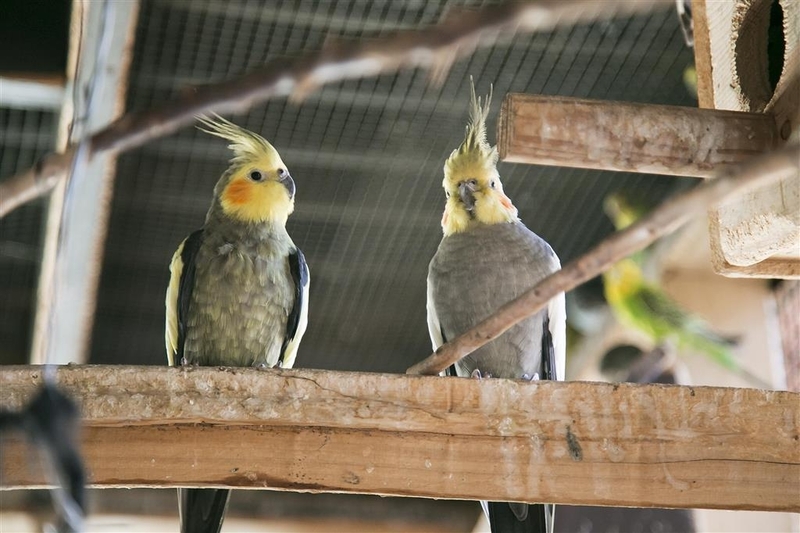 Check out the birds in the aviary. Pet area available. Staff was helpful at check in and check out. They recommended a better room for my family for only an extra $5 so it was well worth the extra $5. They where helpful in finding my BestWestern Rewards number. The room was clean big and comfortable. I would stay there again. "Very clean and nicely maintained"
Stayed here one night. Comfortable beds, fairly quiet, helpful desk person. Has a pool, interesting koi pond and a giant bird cage full of parakeets and canaries. It's not listed on the web site but it does have a guest laundry that I really needed. 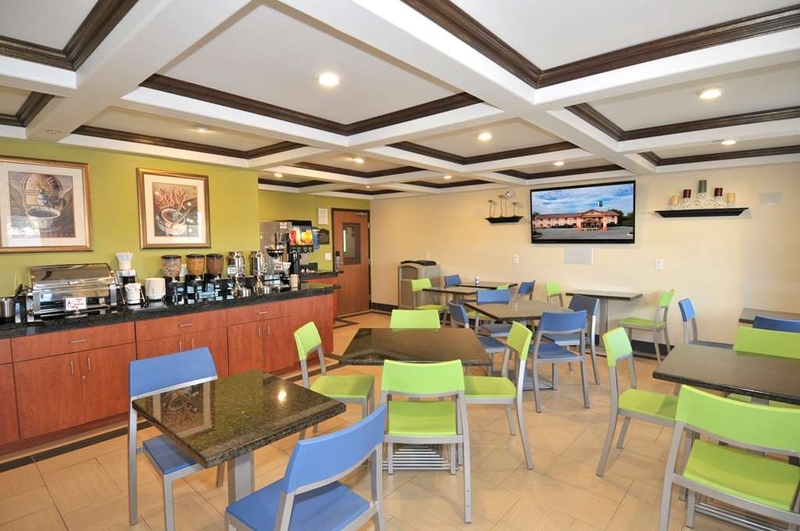 Very clean and up to date rooms and a good free breakfast with eggs, yogurt and sausage. Very pet friendly with multiple pet areas outside. 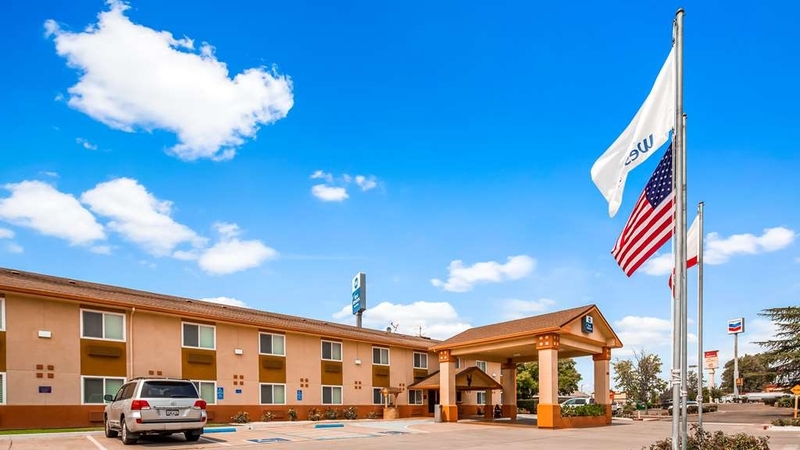 "Best Western in Red Bluff"
This was second time staying at a Best Western, this hotel chain is wonderful for the same price as cheap hotels this chain offers great rooms and staff to provide a 5 star experience at a three 3 star price. And the breakfast is perfect. We travel with a large dog so our motel and hotel options are limited. We tried this Best Western on a trip to Oregon. The staff is nice and the place is clean, but the room we were given was way too small for two adults and a large dog. The bathroom was dinky. It may have just been that we were given a smaller room than others on the site, but if so we got no break in the rate. There is another motel that takes pets within walking distance with rooms that seem twice the size. On the plus side, it is within walking distance of restaurants and has a pretty good breakfast buffet. We had a good night's sleep here after a week of rougher accommodations in the mountains. The room was large and comfortable, clean and fresh. Comfortable bed. Quiet hotel overall. The AC was a bit noisy, but that's all I can complain about! Eco-friendly amenities - no wasteful little bottles. Breakfast was nice - indoor and outdoor seating are available.